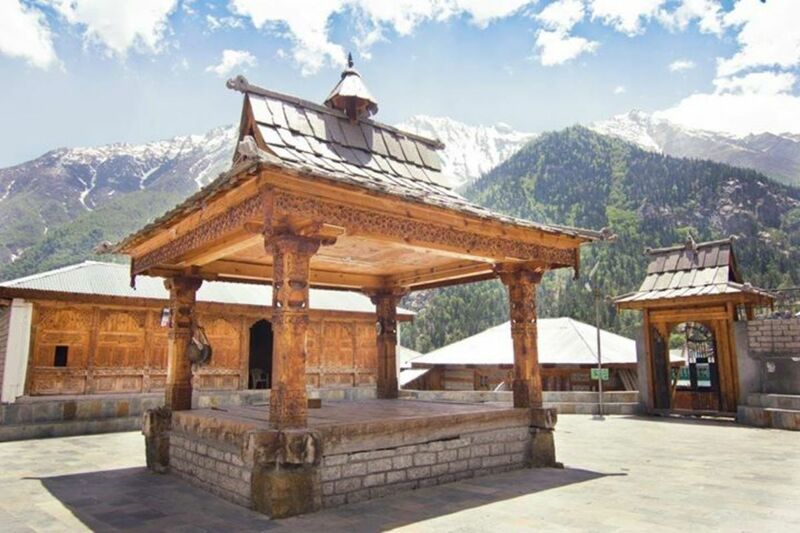 Himachal Pradesh is known as the land of Gods and the epitaph becomes more befitting when one enters the tribal district of Kinnaur. Far from the maddening crowd, the land provides seclusion and divine peace. The beautiful valleys among the high mountain ranges in the backdrop of Kinner Kailash mountain, dense forests and picturesque hamlets, apple orchards on steep slopes, captivating moonscapes, wide meadows and the clear waters of Baspa, Sutlej, Spiti and their tributaries impart exquisite charm, warmth and effulgence to the entire panorama, which is just fascinating. 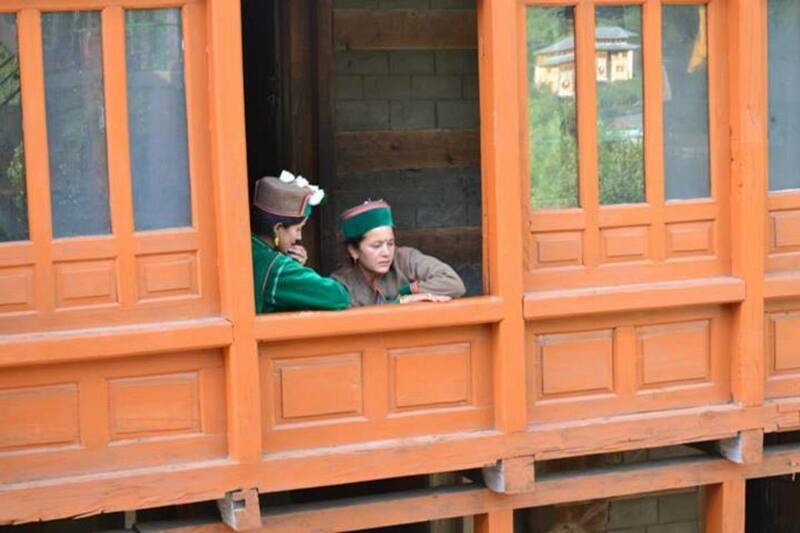 The life, culture, customs, traditions, manners and the heritage of the people of Kinnaur is a world in itself. This region in the neighborhood of Tibet and along the Indo-China border remained inaccessible and forbidden for centuries, as the land route has only been established a few decades back. Having little contact with the outside world the place remained and still is a marvelous Buddhist sanctuary. The prayer flags flutter over High Mountain passes and impart evocative beauty to the region where Buddhism is practiced in its purest form. 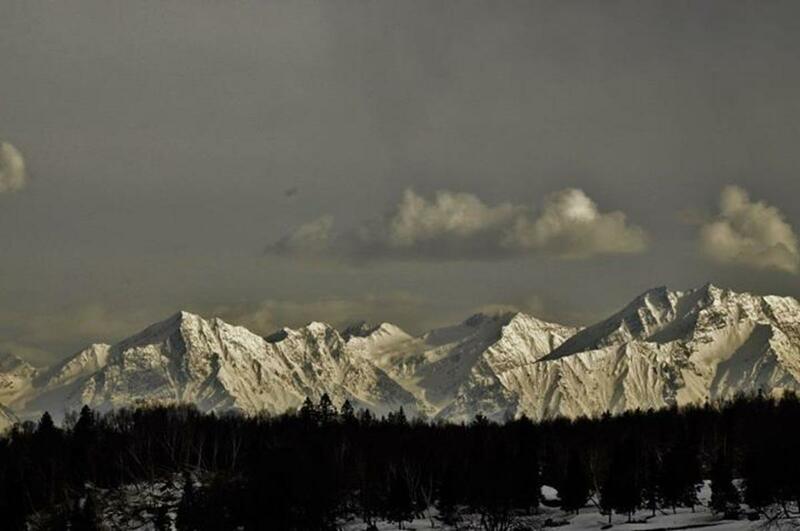 On this ancient Silk Route to China, the perennial snow keeps high passes inaccessible during the harsh winter months. The people still live in another century or in an ancient world that begins where the roads end. Among the tribes of Himalayas, the Kinners are the most fascinating and handsome people living in these parts of Himalayan ravines and cliffs. The Sanskrit classics describe five major tribes who were the inhabitants of Heaven. They were popularly known as Panchjanas or the five clans and are as follows. The first among them are the Devas or gods, who were the real inhabitants of Swarga or Heaven. The geographical and topographical details can be ascertained from different classics. 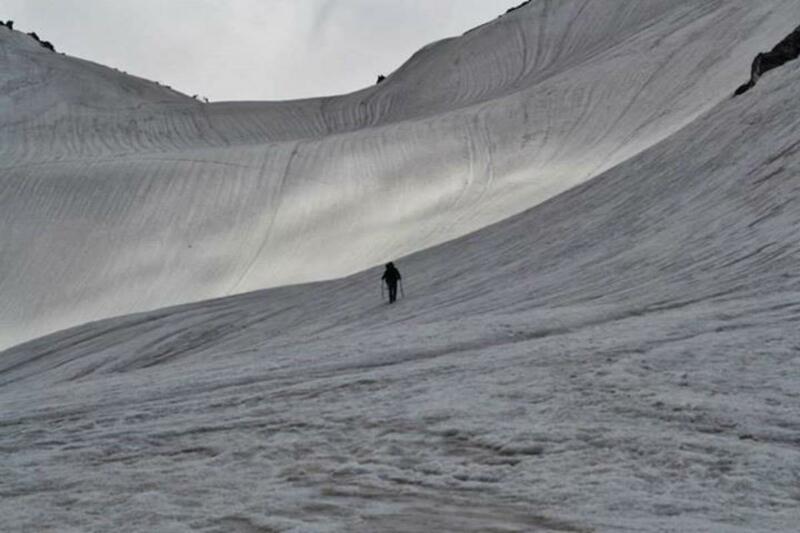 In Mahabharata, there is a description of topographical details of Swarga from where Indra, the King of Gods reached the other side of Alkapuri glacier to receive Yudhishtra on his chariot. Yudhishtra had to cross the Alkananda and Saraswati rivers to reach the other side of Alkapuri. This spot as per description from the episode of Heaven entry or Swaragarohan in Mahabharata should be near the Mann pass through which travelers used to enter Tibet. The second clan was of Nagas, who were very powerful and their leader Ganapati was the son of lord Shiva. Their capital was Mount Kailash near Mansarovar and its boundary was stretched up to Kashmir, Zanskar, Karakoram, Sinkiang and Mount Hindukush. 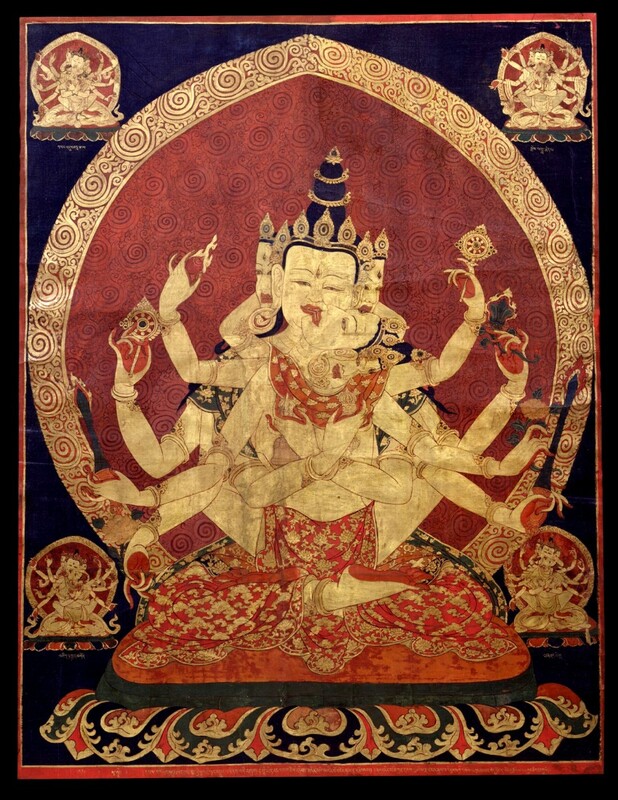 Both the Devas and Nagas were powerful clans. They fought with each other to establish their supremacy. The decisive battle was fought by the Nagas under the leadership of Lord Shiva at the time of Rajah Daksha’s Ashwamedha Yagna, because Sati, the consort of Lord Shiva had immolated herself in the fire of Yagna or Havankund. In this battle, several commanders of Devas were killed by the Nagas. The third clan was Yakshas. 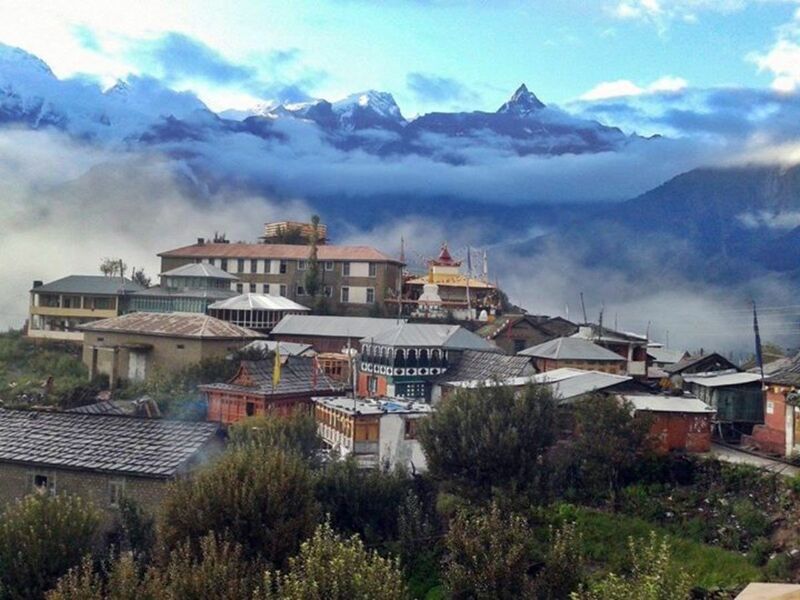 Alkapuri and the surroundings, Mana Saptdhara, the valley of Alaknanda and Badrinath up to the range of Dhaulagiri was the kingdom of Yakshas. 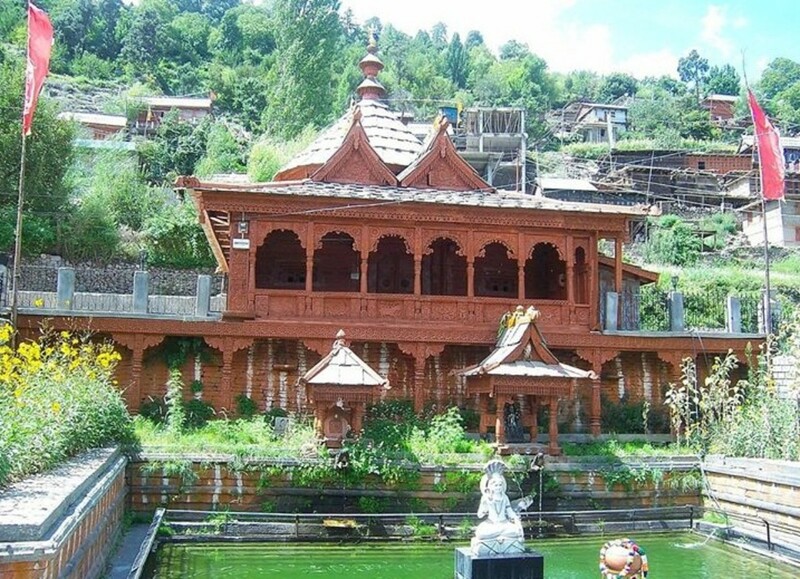 It is the holy place of Lord Vishnu, popularly known as Vushnuloka. It was in this land that the great epics were written. Maharishi Ved Byas created the great Sanskrit epics here by giving dictation to Lord Ganesha. This great kingdom was supervised by Kubera, the lord of wealth, Manibhadra, and Yakshas. It was Manibhadra who established his supremacy in the valley of Alaknanda. That is why the name of the main settlement in the locality Mana became synonymous with Manibhadra. 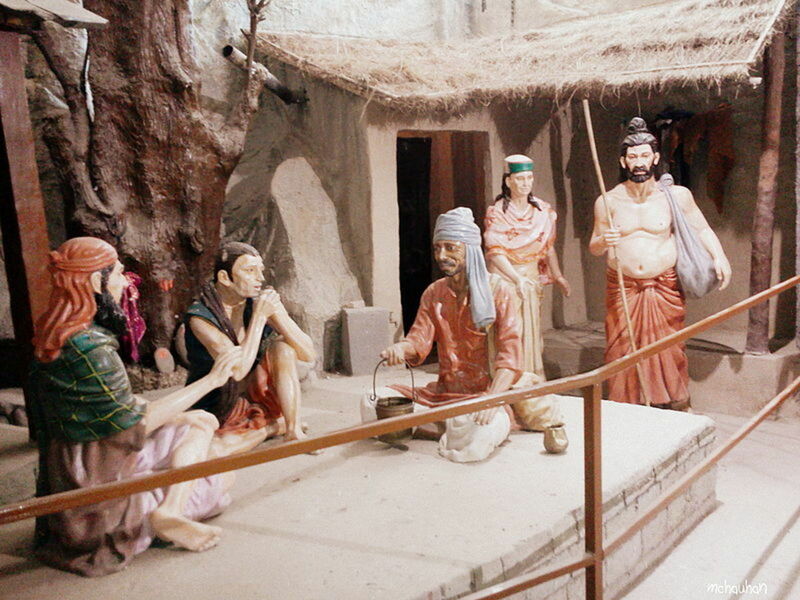 There was another Yaksha named Ghanta Karan who was very popular among the commoners. He was the disciple of lord Shiva and became the tribal god of the area. The fourth clan was of Gandharvas. Their capital was Prashpur and the kingdom was stretched on both sides of the mighty Sindhu river. They were expert in science, music, and art. Kinners were the great fighters and philosophers. Kalidasa indicated their valor in his Meghadutam and Raghuvamsha. The great Kuru clan of Mahabharta belonged to this very region. Presently they are restricted in Kinnaur district of Himachal Pradesh only. 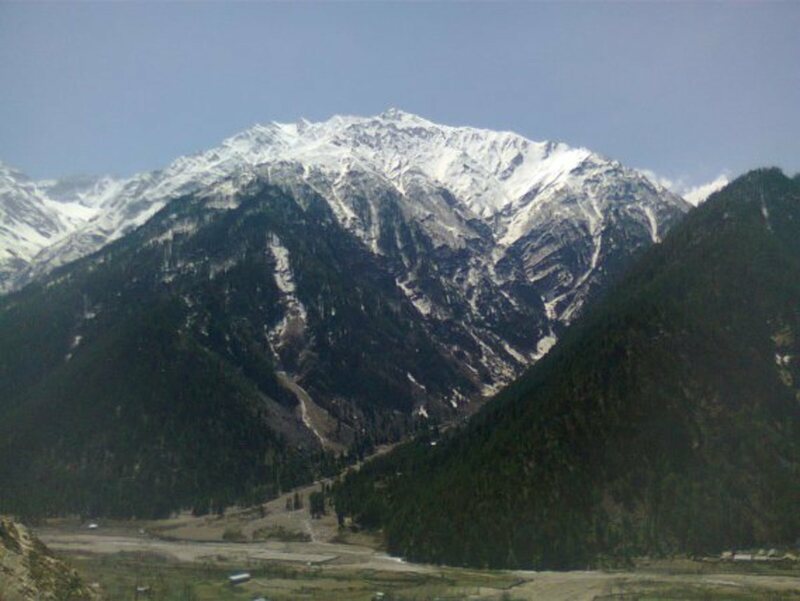 Kinnaur is a hilly region and a plateau surrounded by snow clad mountains of Dhauladhar ranges. Because of topographical situation they are close to Ladakhis and possess the cultural affinity with the Tibetans. They belong to the Kinners of Mahabharata or are the descendants of the Kirats. The Kirats were were forced to recede into the remote trans- Himalayan region as they were overpowered by the Aryans and the Khasas. As the region was inaccessible, they had little interaction with outside world, and therefore the ancient Hindu texts considered them a mystical race halfway between humans and gods. The Kinners are fond of music, dancing, singing, eating, drinking and merrymaking. 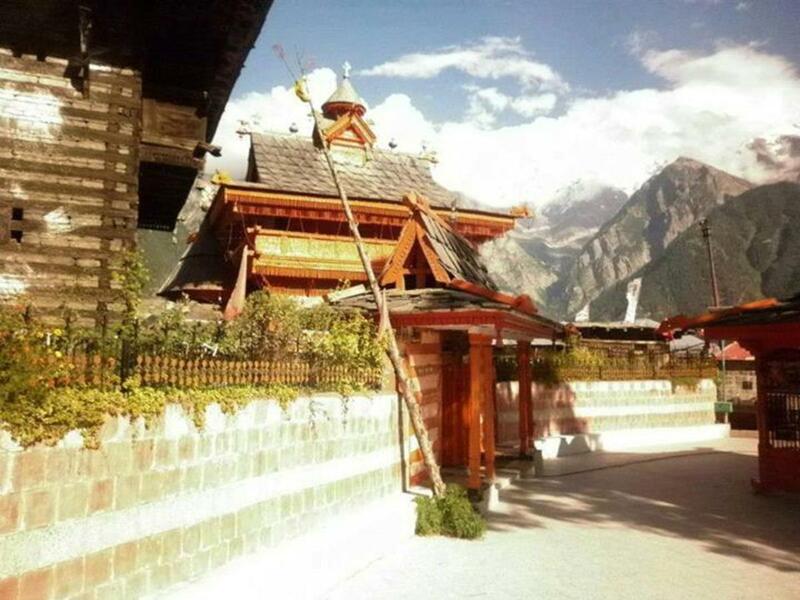 There is a legend that Kinnaur had fallen from the heaven through the clouds and the Kinners had supernatural powers. The people find mention in several ancient Hindu texts and scriptures. In Vedic literature, the tribes of Kinners and Kiratas known as Gandharvas or those halfway between men and gods were the ancient inhabitants of the region. Found in Kinnaur only, the Kinners are the descendants of the Pandavas and find mention in Mahabharata. 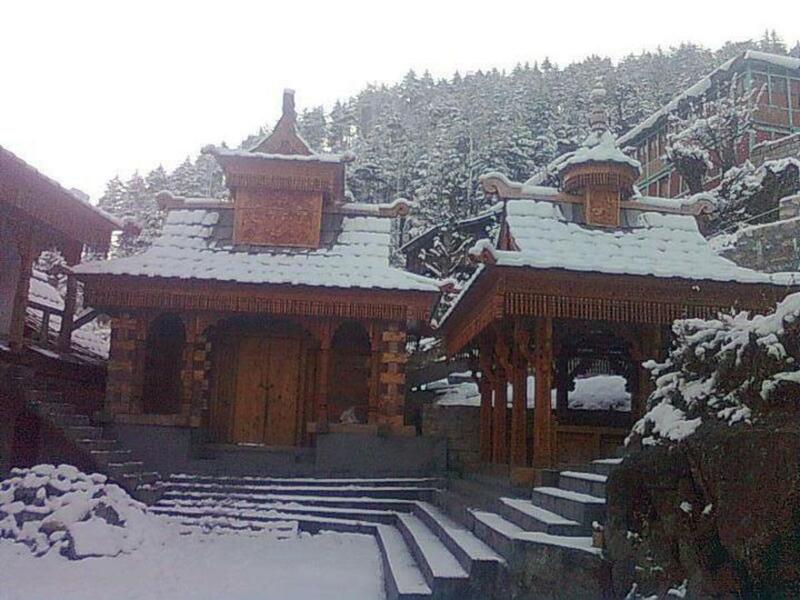 The tribal believe that two great sages from Satyuga will reincarnate near Nichar Valley and Akpa in Kinnaur to spread goodwill and wisdom among the people. The Kinners are divided into lower and upper castes and each category is further divided into sub-castes. With diverse ethnic origins, the society of Kinners is divided into two broad groups according to their occupation. The first are the peasants represented by Kanets or Rajputs with an honorific surname Negi, and the second are the artisans or Scheduled Castes. The Kanets are the main cultivators and consist of three grades. The first and the second grade have 50 and 17 sub-castes respectively. The third ones called Waza Kanets work as potters, have three sub-castes and are considered as inferior Kanets. The Rajputs or Khus community is either Buddhists or Hindus and is found in the areas of Nichar, Sangla and Kalpa regions. 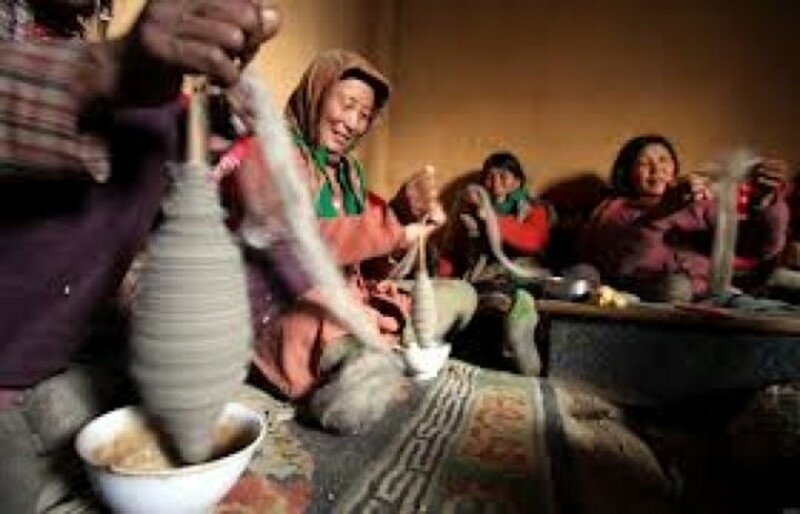 The dominant artisan community in adjoining Tibet and Spiti regions is called Berus, which has four sub-castes namely, Bodhi, Nangalu, Lohar, and Koli. Among the Scheduled castes, the Ores or carpenters and Domangs or blacksmiths are equal in social status and they consider themselves to be superior to Kolis or Chamangs or the weaver class. But actually, it is not so. Contrary to the upper Buddhist region, the caste system is more common in the lower and middle areas. 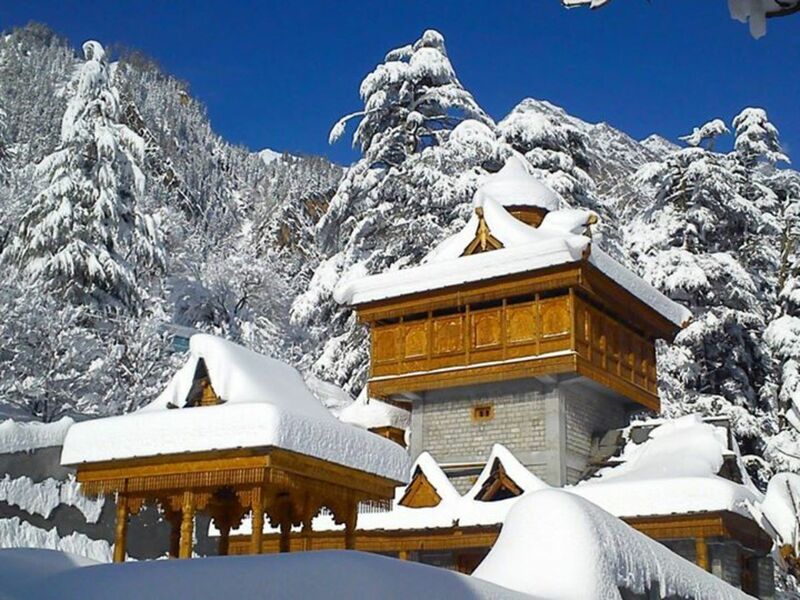 Bordering Tibet to the east and situated on three mountain ranges called Zaskar, Greater Himalayas and the Dhauladhar, the Kinnaur district is located in the North- East of Himachal Pradesh in India. 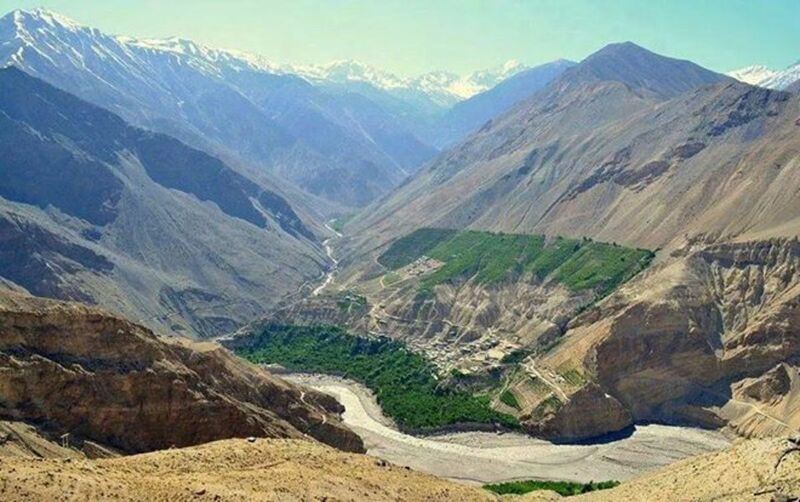 The spectacular valleys of Sutlej, Spiti, Baspa and their tributaries, are encircled by these mountain ranges, the average height of which is between 2319 m to 6815 m(7,610 to 22,362 feet. 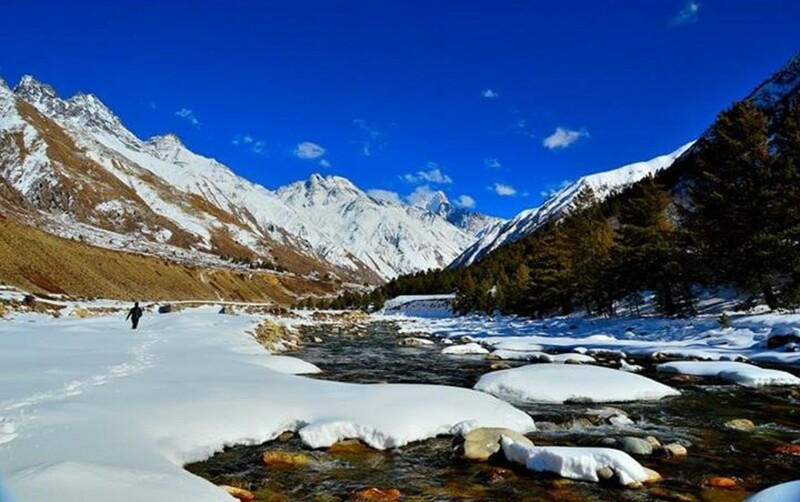 The Dhauladhar ranges in the south of Kinnaur, ascend eastward and meet the Greater Himalayas to divide the Sangla valley from the Uttarkashi district of Uttaranchal. Tibet lies across the Zanskar peaks in the east, while the peaks of Greater Himalayas cross between the Zaskar and the Dhauladhar ranges and pass through the middle of Kinnaur. 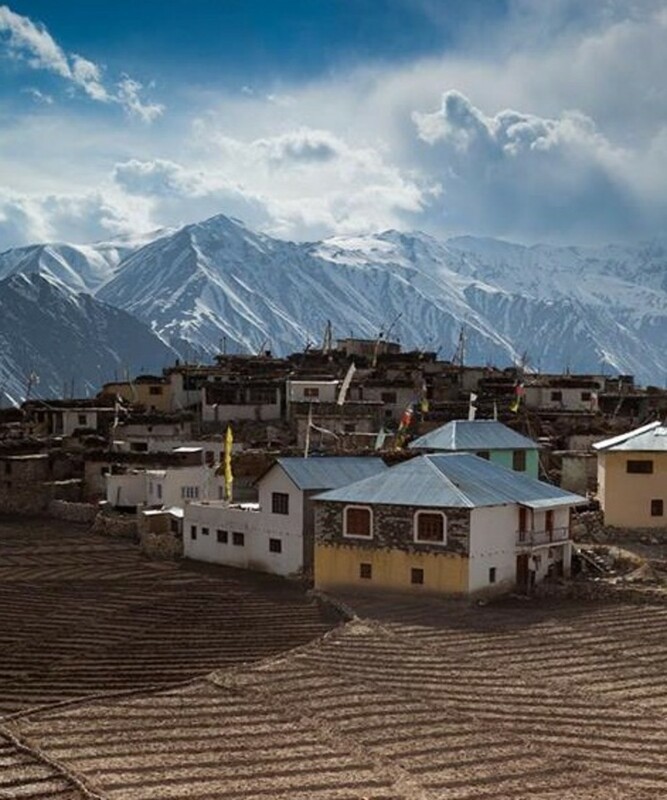 The Spiti valley is beyond Srikhand Mountains in the northwest, while the Kullu region in the southwest. Being one of the smallest districts in India by population, the region with snow covered mountain peaks is about 235 Km from Shimla. It is a cold dessert having apple orchards and vineyards. 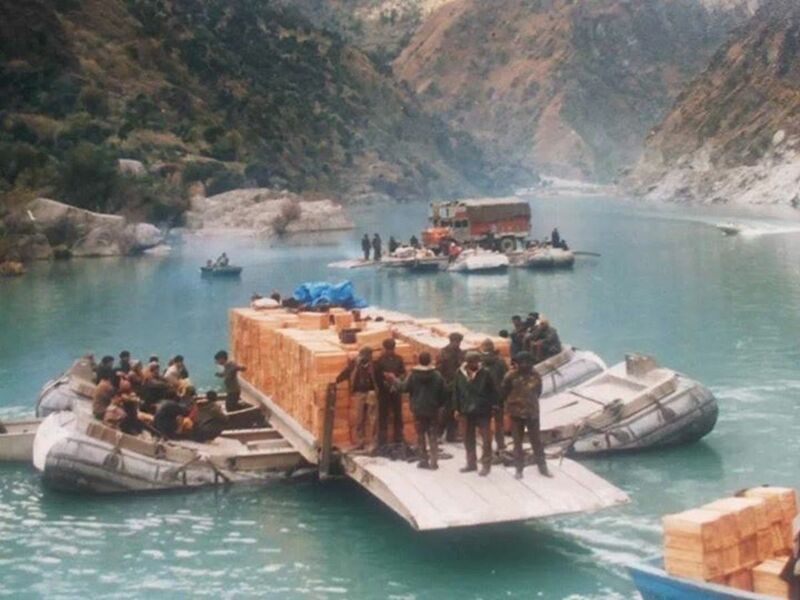 On entering India from Tibet at Shipki la pass, the Sutlej River goes southwest through Kinnaur by piercing the Zaskar, the Greater Himalaya and the Dhauladhar Ranges. In its journey of about 100 Km, the river descends to more than 2000 meters. That is why its gushing waters from the narrow and steep valleys. Small hamlets are located on the sides of these slopes or in the valleys of the tributaries of Sutlej. 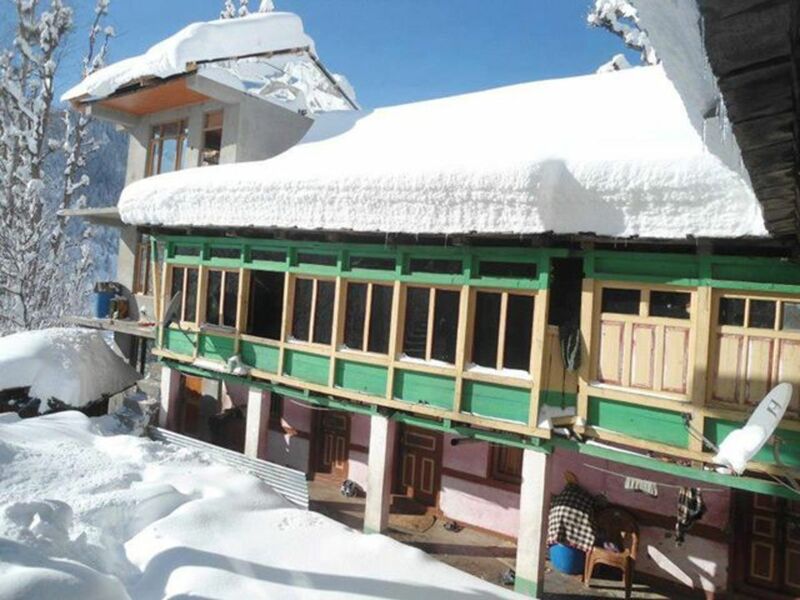 The temperate climate of Kinnaur due to high altitude gives it long winters lasting from October to May and marked with heavy snowfall. The summer season is from June to September. It is spring in April and May, while September and October are the months of autumn. The region in the south of Great Himalaya and the valleys of Satluj and Baspa receive the rains of monsoon. Rest of the terrain in the high regions of upper Kinnaur is similar to that of Central Asia and comes in rain-shadow area. Hence its climate is arid and dry like that of Tibet. 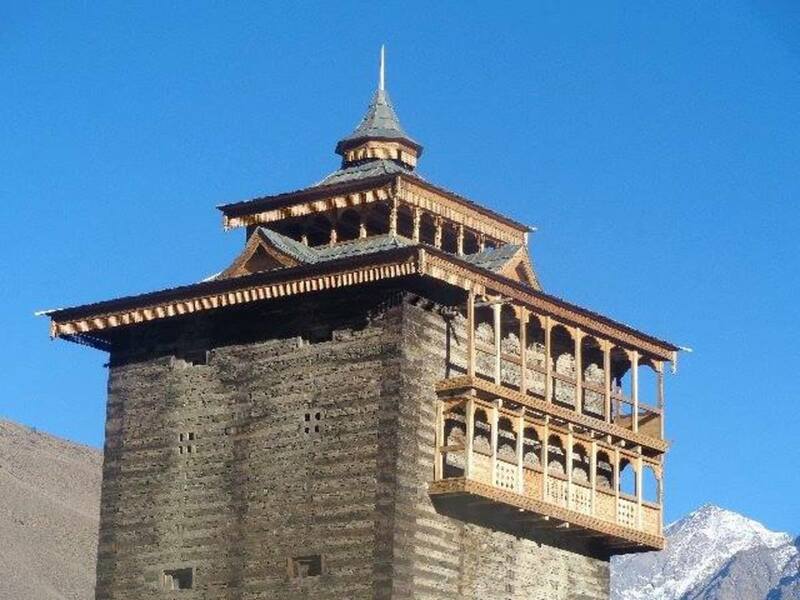 In the past, Kinnaur was known as however apart from this not much is known about the history of this place; nonetheless many fables and mythological tales are prevalent among the people of Kinnaur. A branch of the Aryans called Khasha tribe penetrated and dominated this Himalayan region through Kashgar or Kashmir in about 2000 BC. 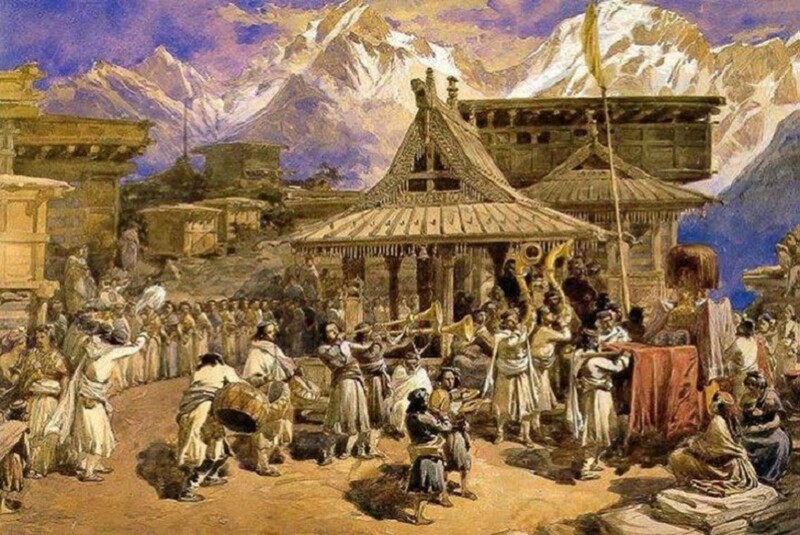 Another race called Bhutias came to Kinnaur from Tibet in 13th and 14the centuries AD. The Magadha Kingdom in 6th century BC and then the Mauryan Empire in 4th century BC had a sway over this region. 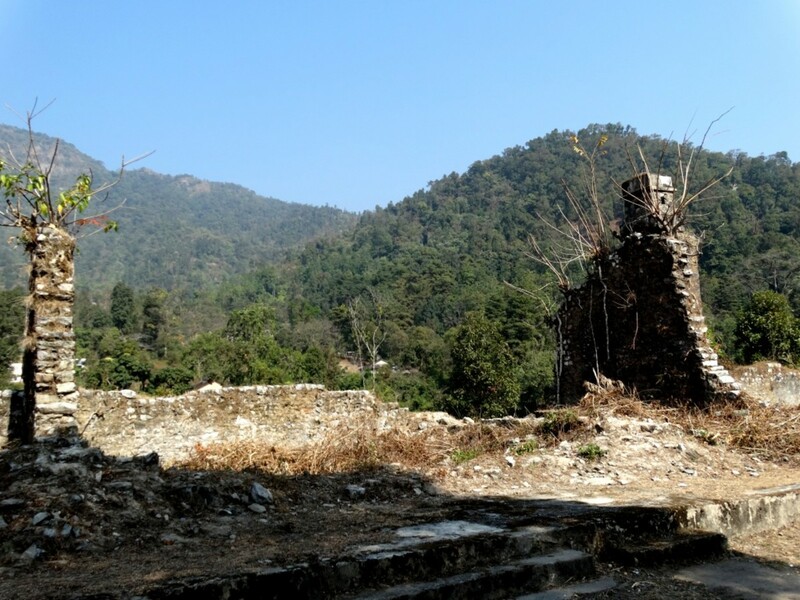 Thereafter the Kiratas and Kambojas followed by Panasika and Valhika came to the place in later centuries. The Guge Empire of Tibet made their influence felt in Kinnaur in 9th to 12th centuries AD. The region was afterward divided into seven portions or Saat Khunds as several local Chieftains raised their heads when the outside influence became weak. These local Lords were used to fight with each other. The Bhotias of Spiti also jumped into these fights and several forts including the Labrang, Moorang, and Kamru were built during this time. All these petty conflicts came to an end in 17th century AD when the region came under the control of Mughal Emperor Akbar. 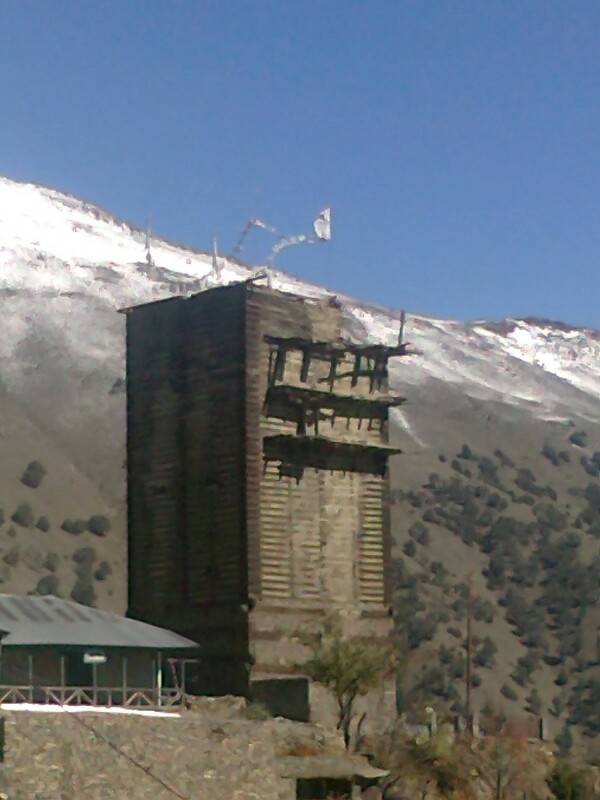 After the collapse of Mughal Empire, the Chini tehsil area, which was then the name of Kinnaur valley, played an important role. Later on, the region was amalgamated into the Mahasu area. 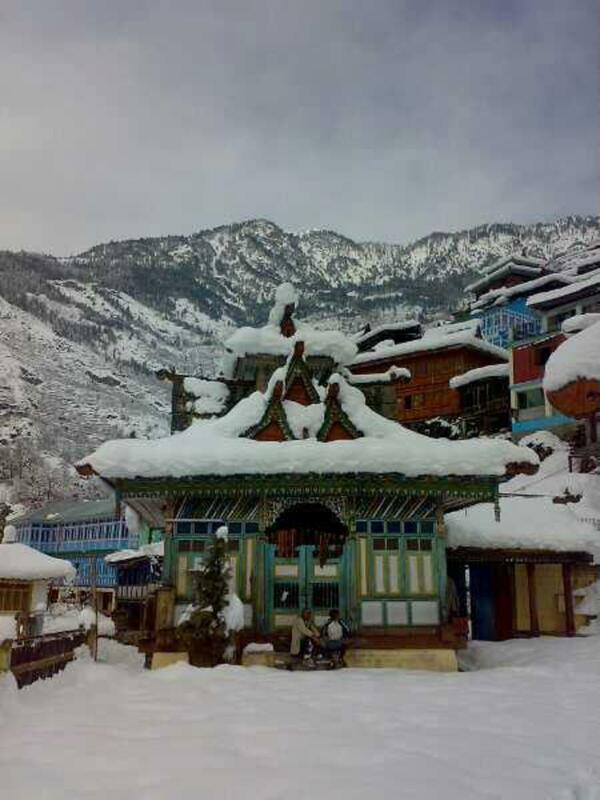 Due to the political, ethnic, cultural and social factors the Kinnaur district was created in 1960. 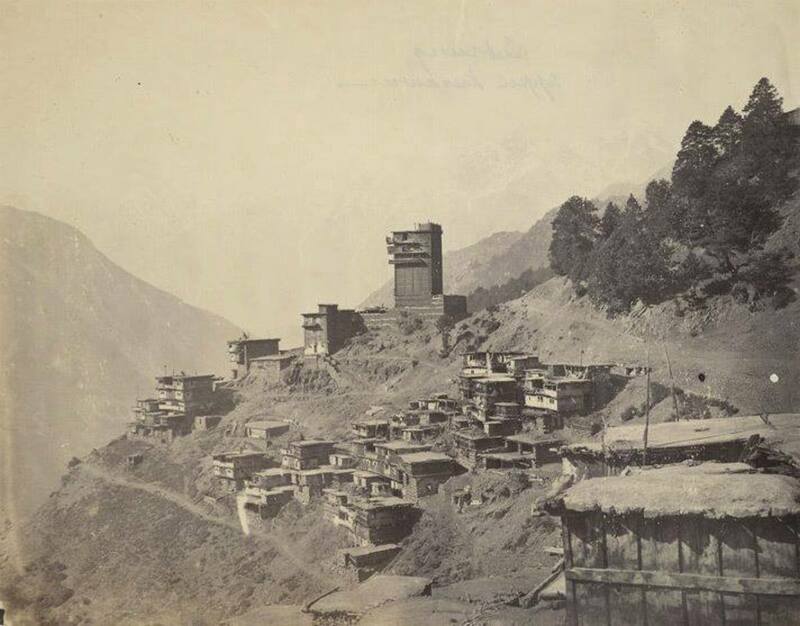 In 1975, a devastating earthquake took place in Kinnaur. This least populated district after Lahaul & Spiti, is one of the 12 districts of Himachal Pradesh, with its headquarter at Reckong Peo. The population density of 13 inhabitants per square Km. The three administrative divisions of the district are Pooh, Kalpa and Nichar, which constitute 5 counties or tehsils. Devoid of homogeneity, the region shows significant diversity in territorial, ethnic and cultural distribution. That is why it is divided into three units. 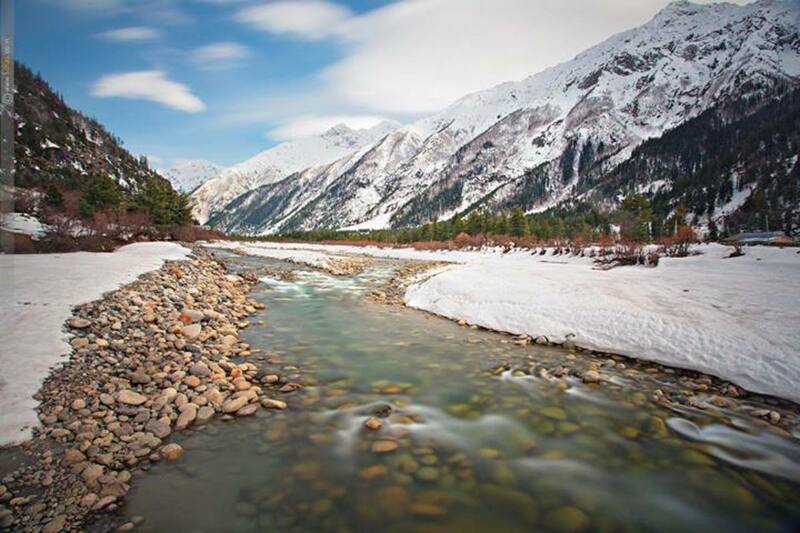 The lower Kinnaur is the area between Chora and Kalpa or including the vales of Nichar and Sangla. The people are Mediterranean in physical characteristics like those of the Shimla district. They are mostly Hindus with ethnic and historical influence of Buddhism. 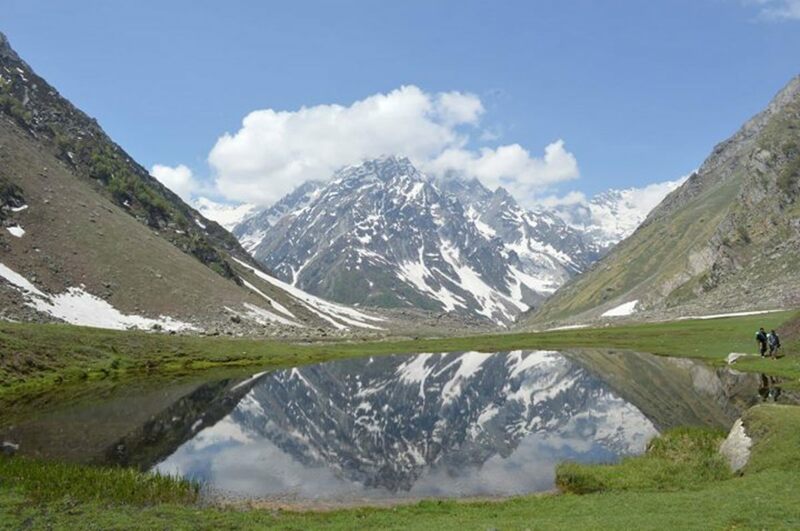 The area of Moorang tehsil between Kalpa and Kanam forms the middle Kinnaur. 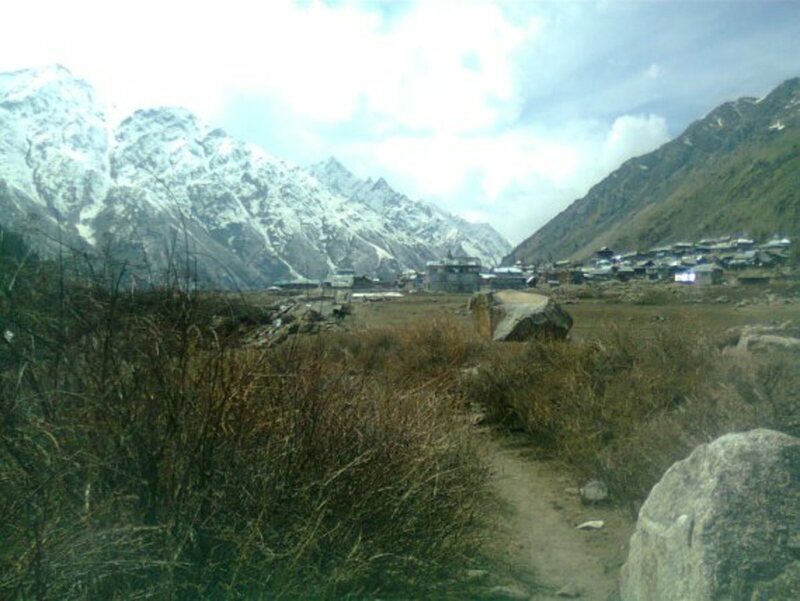 The remaining north-eastern part of the district is called upper Kinnaur. It consists of the area between Poo and Hangrang valley up to the international border with Tibet. 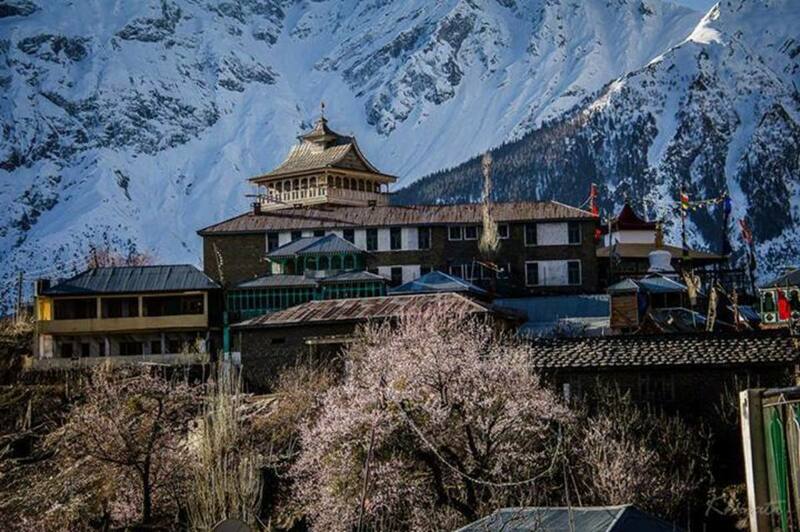 In the northern and the central parts of Kinnaur, the influence of Buddhism on the lifestyle, culture, and religion could still be seen due to the close proximity of the region with Tibet. 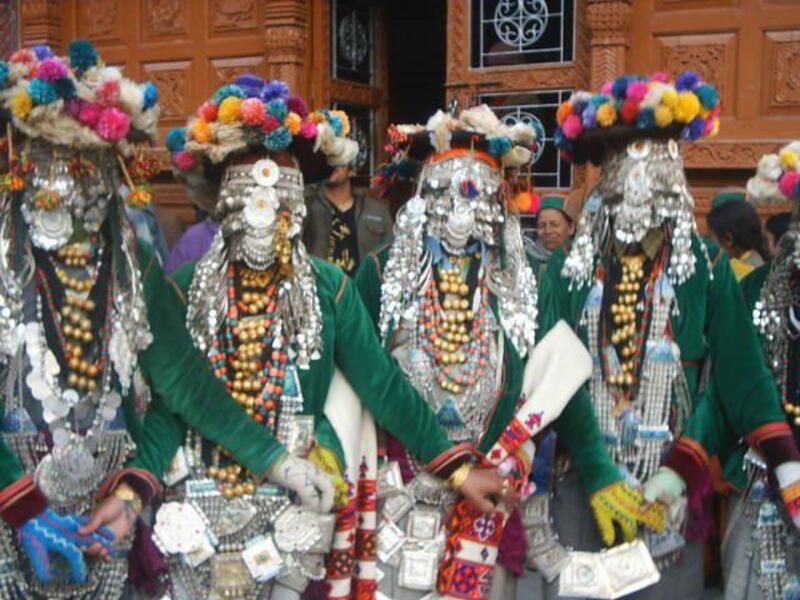 The old Tibetan contacts appear in the fairs, festivals, and customs of the people. The majority people are Hindus, but the sculptures and wood carvings in ancient Buddhist monasteries at Morang and Namgia are in typical Tibetan style. Because of the modern ideas the customs and the extended family system are changing. 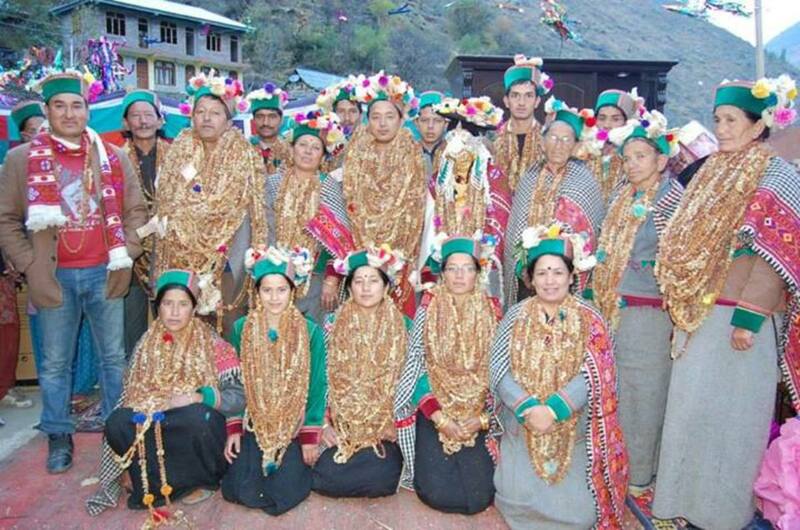 The inhabitants of district Kinnaur in Himachal Pradesh are known as Kinara, Kinners or Kinnaurese. In local dialect, they are also known as Kannaura or Kinnaras, or Kinnauri people. The word Kinner has come from a Sanskrit, in which Kin means strange and nara means people. Hence the word Kinner means the strange people. The Kinners are the simple, god fearing, honest, frank, hospitable, peace-loving, familiar and friendly people, who fully enjoy the life in its isolation and deficiencies. They live in very bad conditions but brave the vagaries of inclement and rough weather. They are very soft spoken and elegant people by nature. They easily get adjusted to living in the poor conditions. They prefer to live in joint families. They lead a simple life full of hardships, but their cultural legacy is rich and profound and they have a wealth of legends, myths, and rituals. They have a fair complexion, tall structure, broad foreheads, muscular and strong bodies and big eyes. Their physical appearance is quite similar to that of the Aryans. But the people of middle Kinnaur have mixed racial characteristics. 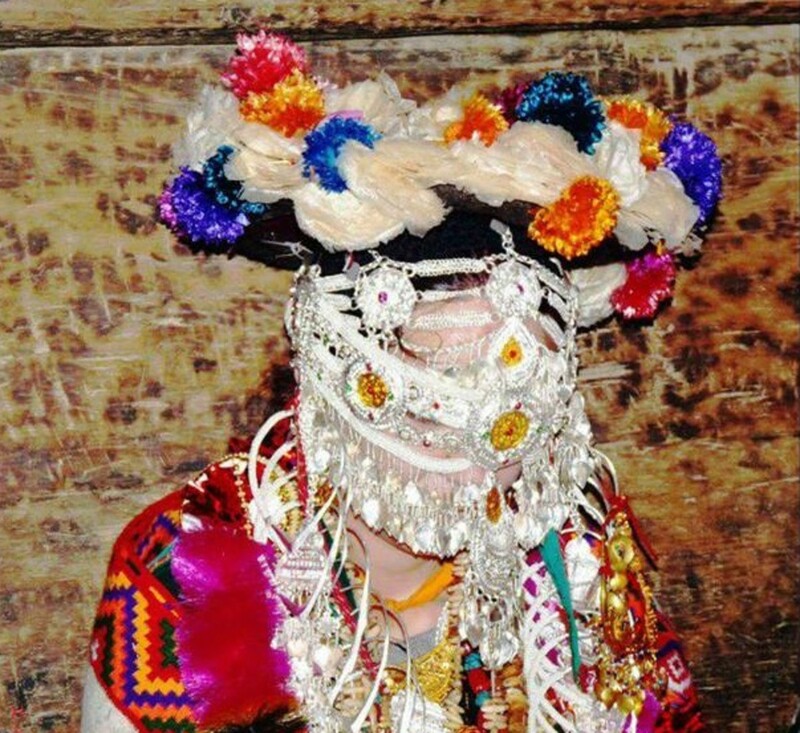 The people of upper Kinnaur in Hangrang valley have Mongoloid features. The Mediterranean features are found in Peo. Sometimes there is an admixture or blending of Mediterranean and Mongoloid elements. 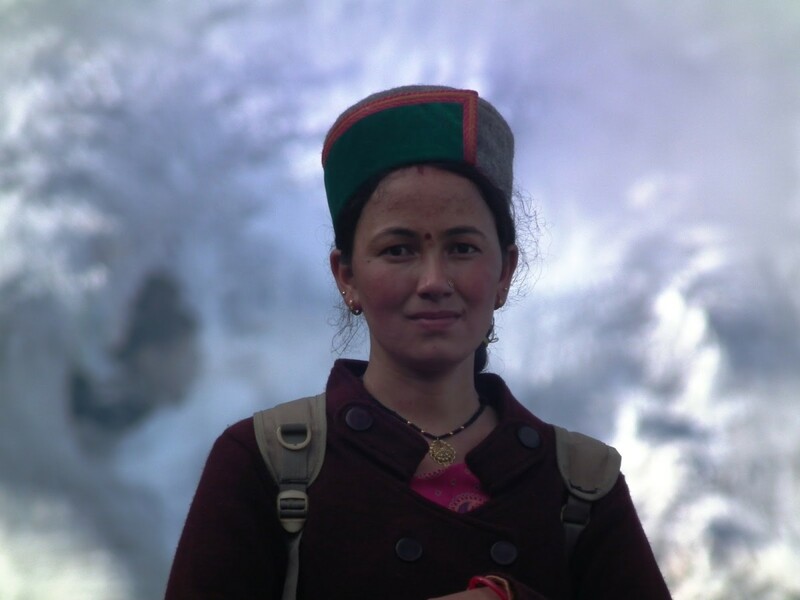 The women of Kinnaur are famous for their beauty. Their charm and spell find mention even in ancient scriptures. The Kinner girls known for their captivating beauty were trained as Vish Kanyas or poison girls by the kings to kill their enemies. They were given small doses of poison from early childhood, and on becoming adult their kiss could kill anyone. 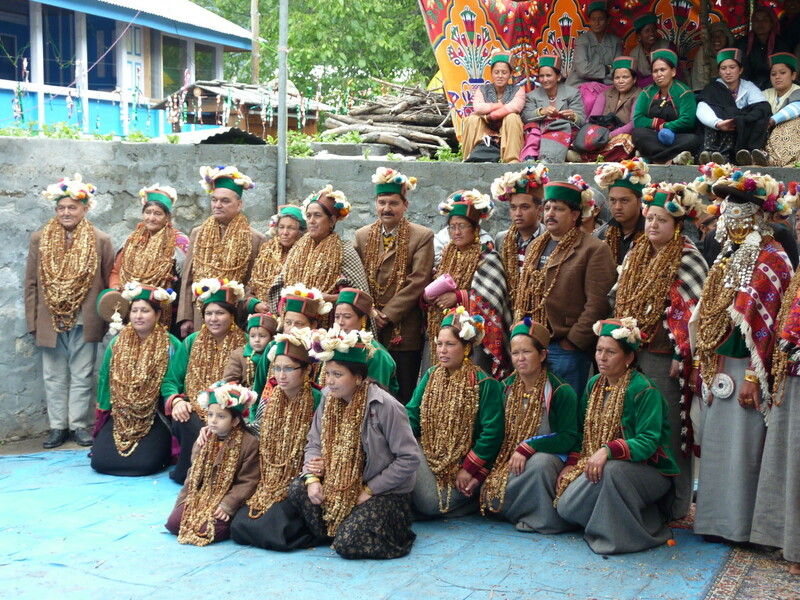 The belding ceremony in Kinnauri marriage in which all the relatives of grooms pay respect by offering a garland of dry nuts to the host family. 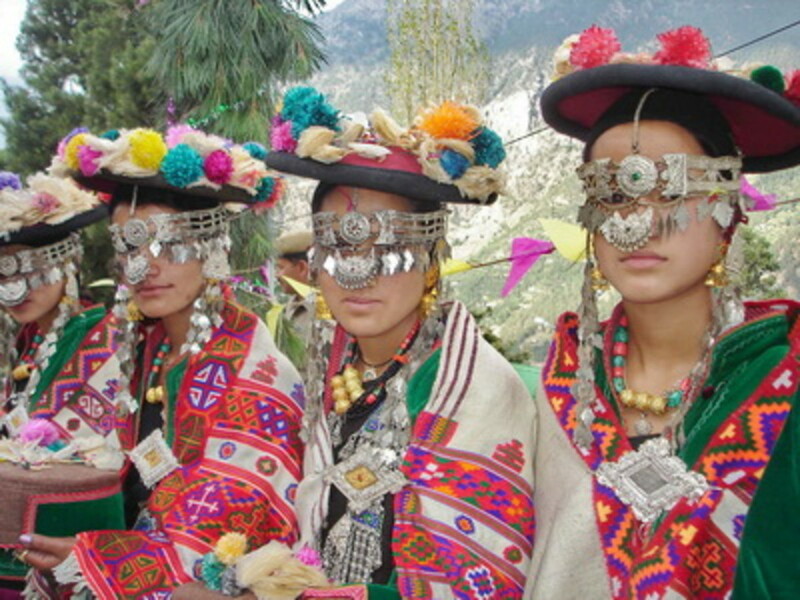 These handsome Kinners are the most colorfully dressed inhabitants found in the Himalayas. Both men and women wear sleeveless woolen jackets called baskets and the clothes are mainly of wool. A gray woolen cap called thepang is worn with a white or green velvet band. The men wear long apron type shirts or Chamn Kurti, which are tied at the waist with a piece of cloth. They also wear a long woolen Tibetan coat or Chubha and tight woolen pajama or Chamu Suthan. They wear tight trousers, shirts, and tuxedos, over which the woolen are draped. Their shoes are heavy and sometimes profusely nailed on their soles. The women wear the shoes made from hemp fiber, wool or the hair of a goat. They drape themselves in a woolen sari or Dhoru, the first wrap of which is over the shoulders towards the back, while the embroidered borders are displayed throughout the length stretching up to the heels. The shawls of beautiful colors in dark shades are used for Dohru. A full sleeved blouse or choli is worn by women serves as a decorative lining. The Kinners speak the Kinnauri or Kanauri language belonging to the group of Tibetan- Burmese dialect in the Himalayas. The use of this dialect raises a possibility that the Kinners are not Indo-Aryans, but an extension of Darads of Iran, who speak a language close to the Persian dialect. In ancient times the Kinners probably spoke a language close to Darads, but when Tibet annexed Kinnaur, Spiti, and Ladakh, they adopted the new language. That is why this ethnically Indo-European Kinner tribe speaks a language of Tibet-Burmese family. The second language is Hindi. 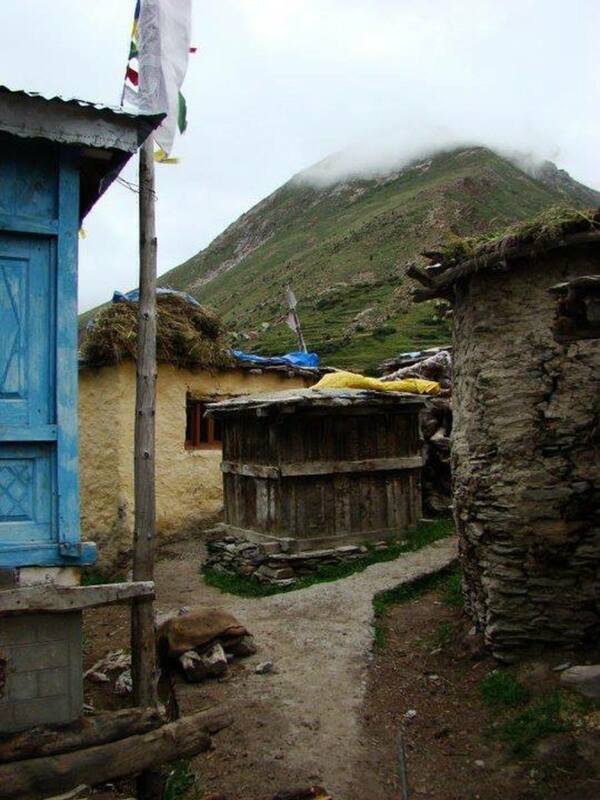 The people in the upper Kinnaur speak Bhoti language. The educated people can speak and understand English too. The Hindi elements in Kinnarui dialect are the distinctive feature. The people in Pooh and Sangla region speak the Tibetan Jangram dialect. 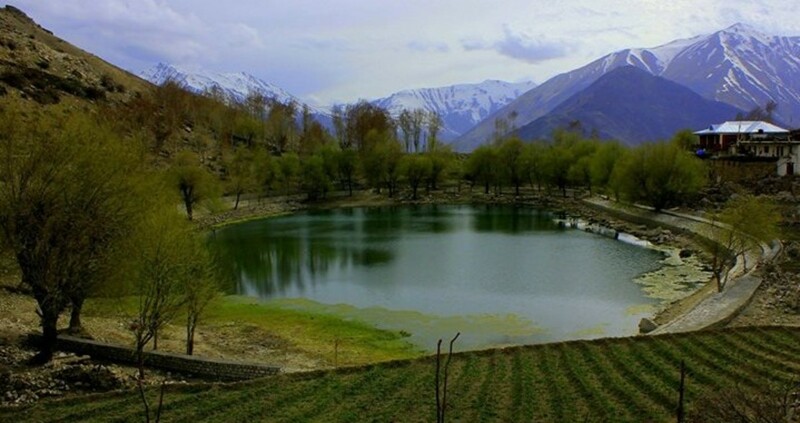 In Satluj valley an old Zhang- Zhuang dialect is still spoken by about 200 people. The upper caste and lower caste people in the same village speak different languages, as the latter are not allowed to speak the language of the former. The people depend on woolgathering and rearing of the flock of sheep and goats. During summer months they climb the high mountainous regions with their herds. They carry along with them the corn and other eatables on the backs of big goats. They cook their foods on ordinary fireplace or hearths made of stones and use dry twigs collected from the jungles as fuel. Some tender leaves of certain plants are also used as vegetables. 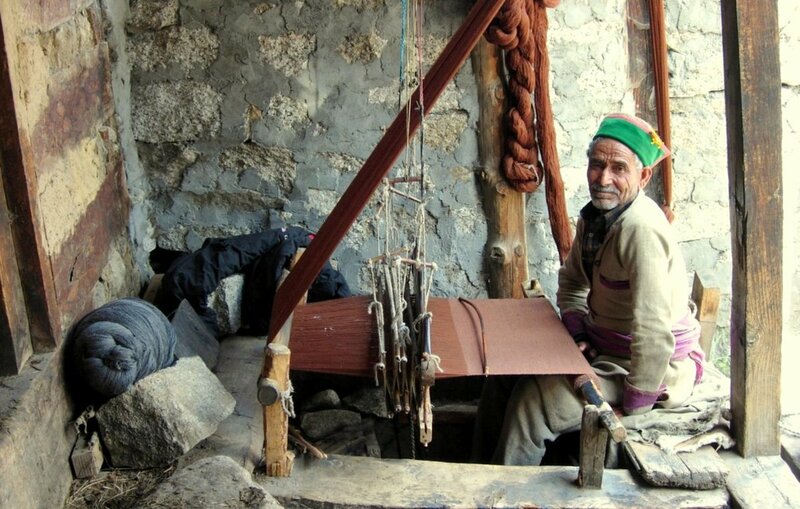 During winter months they weave shawls, caps, mufflers, woolen cloth, carpets, gudmas or mattresses and other articles, which they sell in the markets and fairs. The women are expert in carpet weaving. Some of the people are involved in horticulture and agriculture activities. The handicrafts like an article of wood carving, metalwork and silver and gold ornaments are also produced by the co-operative societies and small production or training centers. 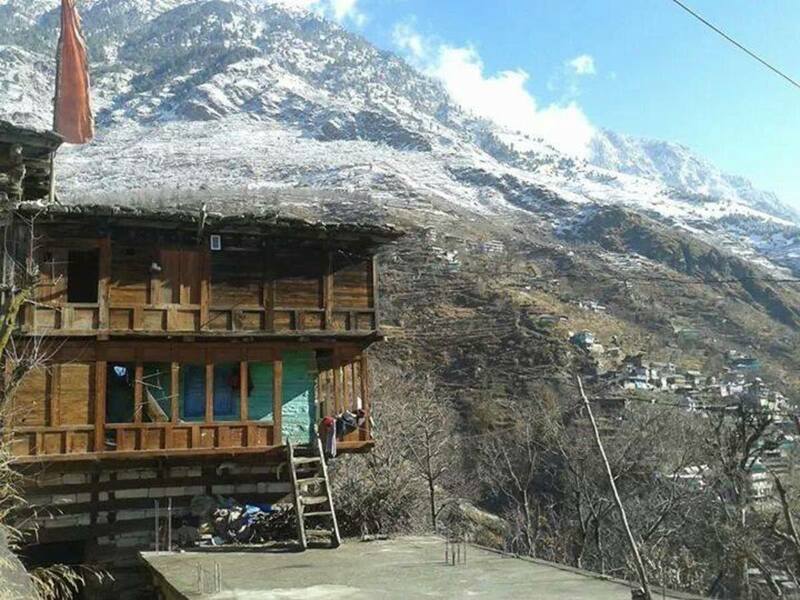 The house at Yashang in Kinnaur where the Queen of Rampur Bushahr took refuge during the Gorkha War in 1811 AD. This five story house called Thaarang is still in great condition. The houses are unique examples of wooden architecture and are built in traditional Kath-Kuni style in which the alternate layers of wood and stone are used in masonry work. These houses generally have separate storerooms for grain, dried fruits, and meat. These things are kept in grain storage structures of wood called kathar. They hang the meat for drying. The bags of sheepskin or yak skin called Pakpa are also used in the households. The red plants are buckwheat locally called Oolga or Gashang or Kuttu. It is a gluten free diet and is used to make pan cakes or dosa, beer and noodles and is also taken as a food substitute during fasting. The people grow maize ajar, oat, and potatoes. But this is not enough for their livelihood and hence they sell the raw wool and carpets. During summer months they collect dry leaves, tree branches and wood on the roofs of their dwellings and use them during winters as fuel and fodder. 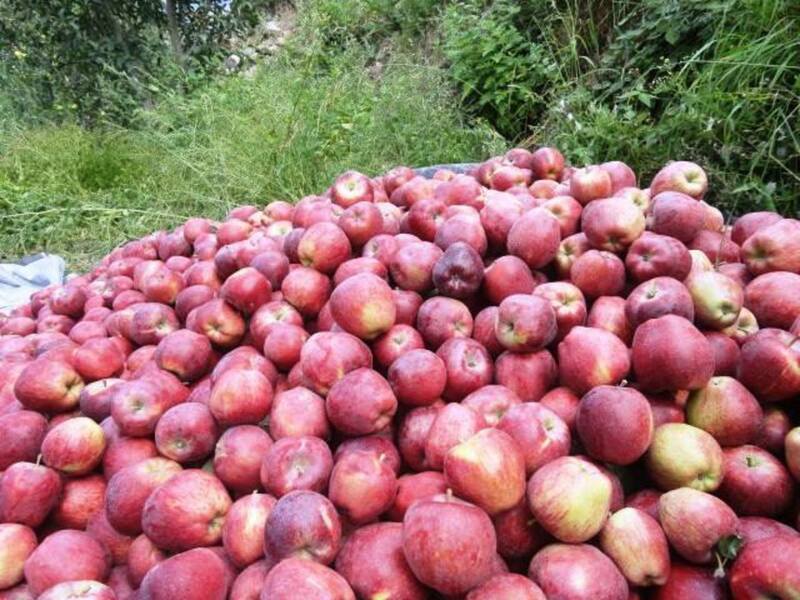 The region is famous for apples, neo za, chilgoza or chestnuts, apricots, other dry fruits, and grapes. Some rare herbs and spices including the exotic black cumin seed or zeera are found in abundance in Sangla valley. The arid landscape brightened by shimmering willow groves and glacier-fed fields of yellow buckwheat and green pea patches are admirable. The locally produced wheat, maize, and barley are the staple food of the Kinners. The pulses like black peas, mash, and kidney-bean or rajmash are also consumed. Besides some locally available wild green leaves, the other vegetables are beans, cabbage, potato, turnips, okra, peas, pumpkin, cauliflower, radish, tomato etc. The rice is imported from outside the valley, while the steamed doughnut made of parched barley flour called sattu is taken with the salted tea or chai. The people relish the meat of goat and ram and even dry it for the winters. The locally brewed alcoholic drinks on a day to day life, or on ceremonial or festive occasions are quite common. The alcohol is distilled from grapes, apple, pear, barley, and wheat. 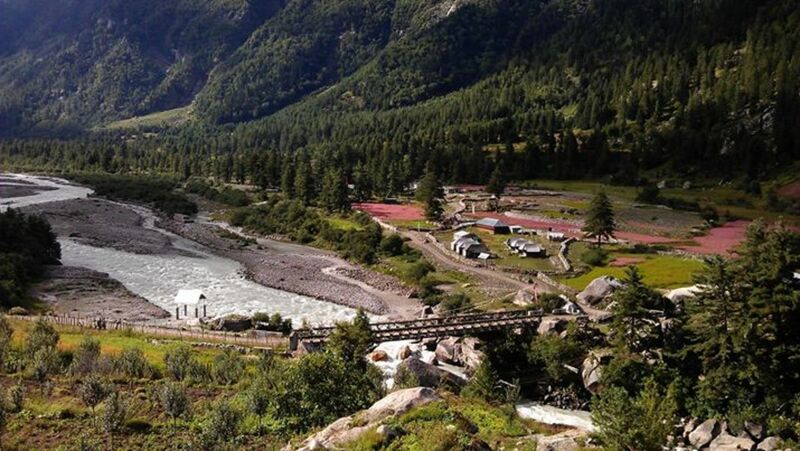 The rivers have plenty of fish and there is a trout farm Sangla. The communities of Gallong of Arunachal Pradesh; Tolkolans and Ezhavas of Malabar; and the Mala Madessar, the Mavilan etc., in Kerala follow fraternal polyandry, whereas the tribes of Kota; the Karvazhi, Pulaya, Muthuvan, and Mannan community in Kerala; and Kurumbas of Nilgiris follow sequential polyandry. The women of Toda tribe of Nilgiris in South India were free to choose the male partners and practiced both fraternal and sequential polyandry by making an arrangement to spend the first month with first husband and so on. Similarly among the the Nairs of Travancore and other related artisan castes like Thiyyas, Muduvas, Kammalans etc., in Kerala the property is inherited by the children of man’s sister. No stable conjugal relationship is found here in sequential polyandry, as several unrelated men share a common wife, and only the females could ascertain the fatherhood. The custom has become nonexistent now. 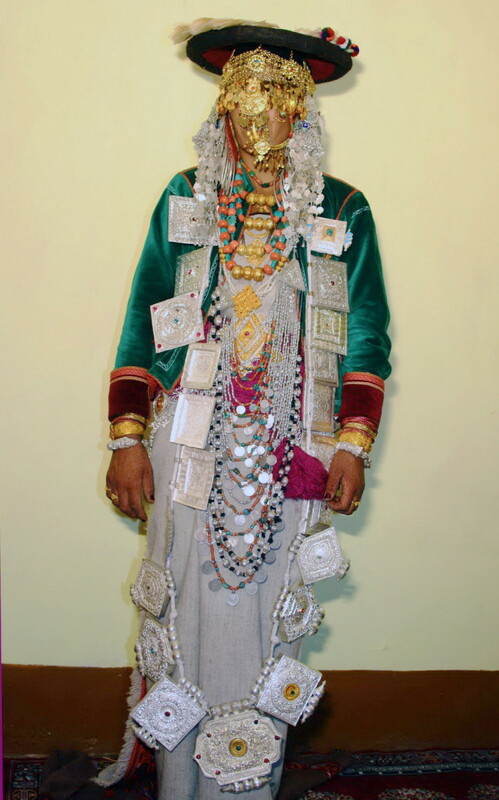 In the lower ranges of Himalayas in North India the fraternal polyandry is still practiced among the Khasa in Jaunsar-Bawar region of Dehradun district and several other districts in Uttaranchal in the southeast of Kashmir adjoining the Nepal border. The brothers can marry more than one woman, if either the age difference of the brothers is high or the first wife is sterile. No one has exclusive privilege to the wife, as all are her husbands and the fathers of all the children. Recently due to inheritance reasons the instances of fraternal polyandry have been reported in the agrarian Malwa region of Punjab. Adelphi or fraternal polyandry still exists in remote areas of Kinnaur, Lahaul-Spiti, interior parts of Chamba and Shilai. The Kinners have a patriarchal system of inheritance. But one of the most interesting aspects about them is their marriage system. The preferred form of marriage was polyandry and it still prevails in the villages where the bride of eldest of the brothers in the family naturally and automatically becomes a common wife of all the brothers. In ancient times, it was the preferred form of marriage among the Kinners. The system is also called a Pandava marriage. 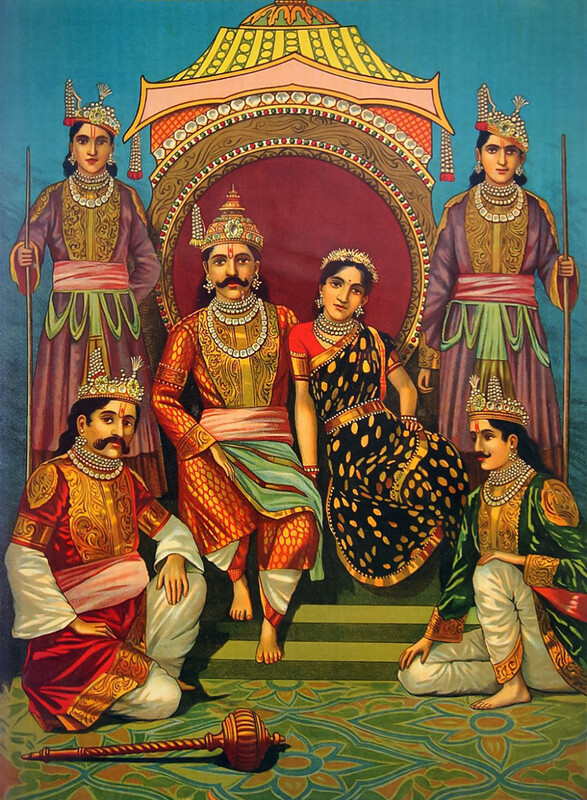 The earliest example of polyandry is in Hindu epic Mahabharata, where Draupadi, the daughter of Panchāla king got married to five brothers known as Pandavas. 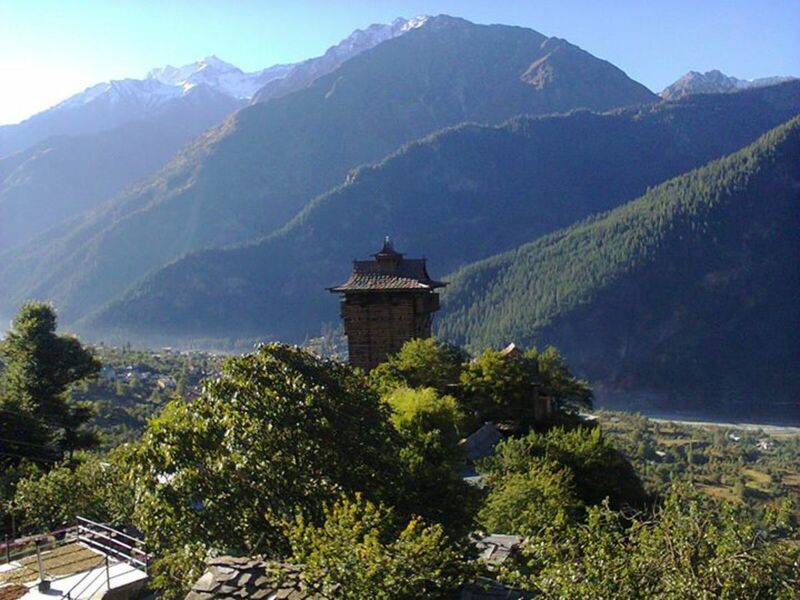 The Pandavas were banished from their Kingdom and they spent their time of incognito in Kinnaur. 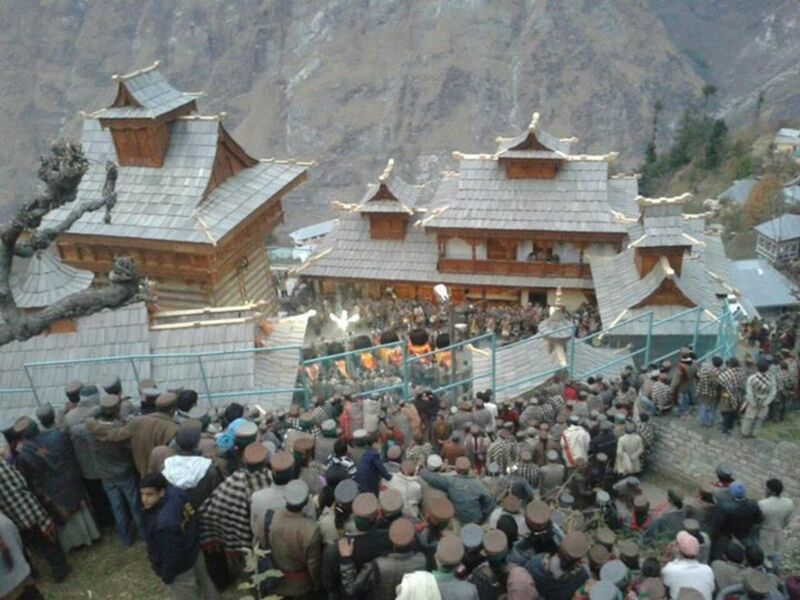 Claiming their descendant from the Pandava, the people of Kinnaur justify this system. However, Kinners existed much before the Pandavas. But the Kinners got this custom from Pandavas. On the economic and sociological basis, the cause of such marriages in an extended family system is the non-fragmentation of large holdings of land, as the cultivable land is very small in this largely cold desert region. It helps the people to perpetuate the name of their family, safeguard the family property and control the population. In ancient times the polyandry was encouraged by the state, by imposing penalties on partitions due to an availability of limited arable land. The men were used to remain away from their homes for several months due to their occupations and the necessity of someone to cater to the needs of wife at home was felt. Hence the system got a foothold in the region. In this primitive custom, all the brothers are either married to a girl or the marriage to brothers happen at a later date. Sometimes the wife is transferred to another brother after giving birth to a child. Generally two or more than two elder brothers share a wife, while the unmarried younger brothers are sent off to become Lamas in Buddhist monasteries. The Hindus too follow this system. Many girls remaining unmarried due to the system become Buddhist nuns or Zumo or Jomos. It is the wife who ascertains the fatherhood, though DNA tests are also conducted for inheritance problems. The brother going against the marriage is treated as an outcast and loses all property. But now this system is rapidly losing ground to monogamy. The matrimonial rituals are simple and the marriage ceremony is solemnized collectively after having taken the consent of the two parties. The ladies generally play an important role in these rituals. Both males and females can have more than a single mate. 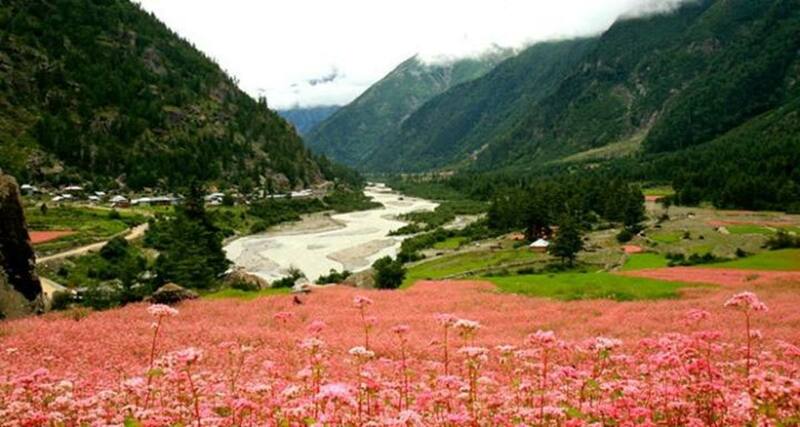 The time to visit the beautiful and mesmerizing Kinnaur valley is between April and October. But September is the best time as Phulaich, the most colorful festival of flowers is celebrated in the whole region at this time. The district was opened for the tourists in 1989 and the foreigners are required to have an inner line permit to visit the place, as it is close to an international border. These permits are easily available for Poo, Khab, Sumdo, Dhankar, Tabo Gompa, Kaza, Moorang, Dabling etc. The memorable and exhilarating trip to the valley through National Highway-22, popularly known as Hindustan- Tibet Road is extremely adventurous. Beyond Rampur, the road has been cut out of the rock and the number of natural tunnels and half tunnels is the breathtaking marvels of engineering. 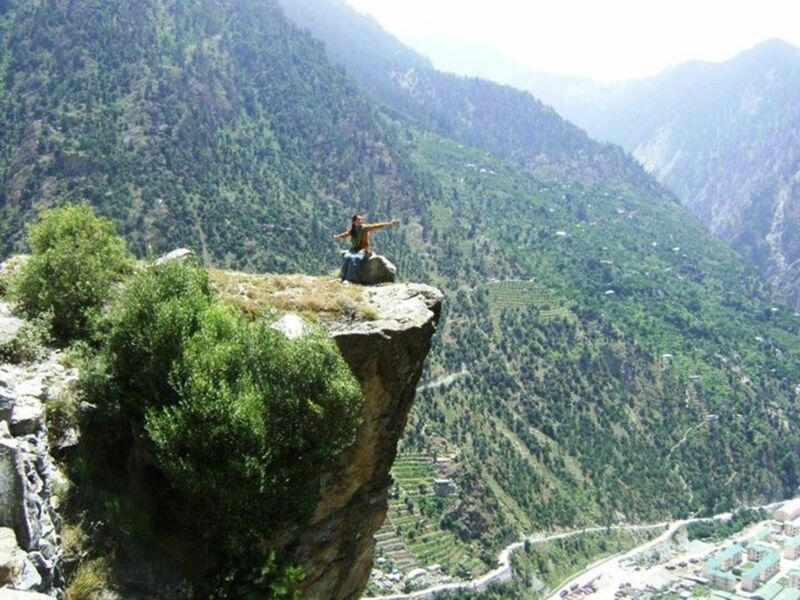 Kinnaur is about 630 Km from NewDelhi, the capital of India. It is a 7 hours road journey from Chandigarh. 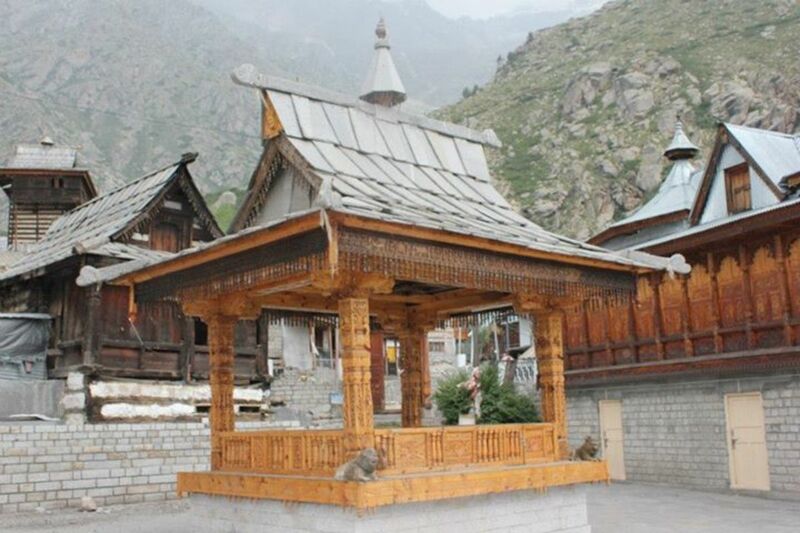 The districts of Lahaul & Spiti and Kinnaur have a conglomeration of Shaivite Hinduism and Tibetan Buddhism. 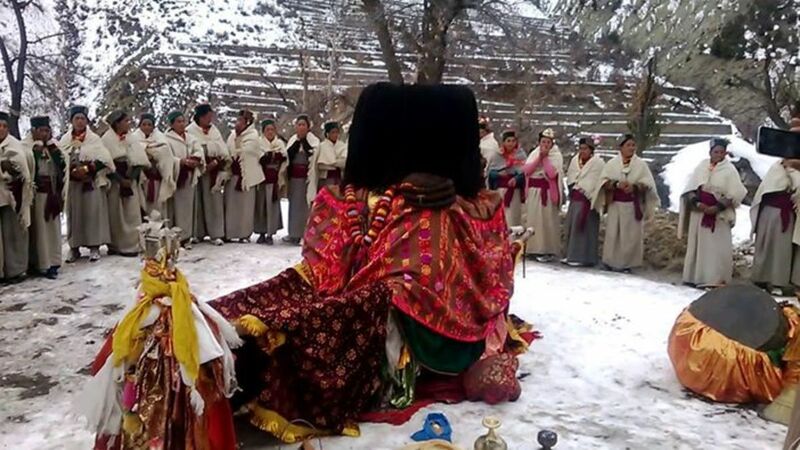 The culture and religion of the people is a curious blending and harmonious mixing of these religions with Bon, a pre–Buddhist religion of ancient Tibet. These three religions have adopted some indigenous shamanistic practices. Most of the inhabitants are the Buddhists with few Hindus, while many people believe in both the religions. The believers of Sakya Muni Buddha have great faith in their religious Gurus popularly known as Lamas and follow Mahayana Buddhism. The ancient monasteries built thousands of years ago still exist in the area. 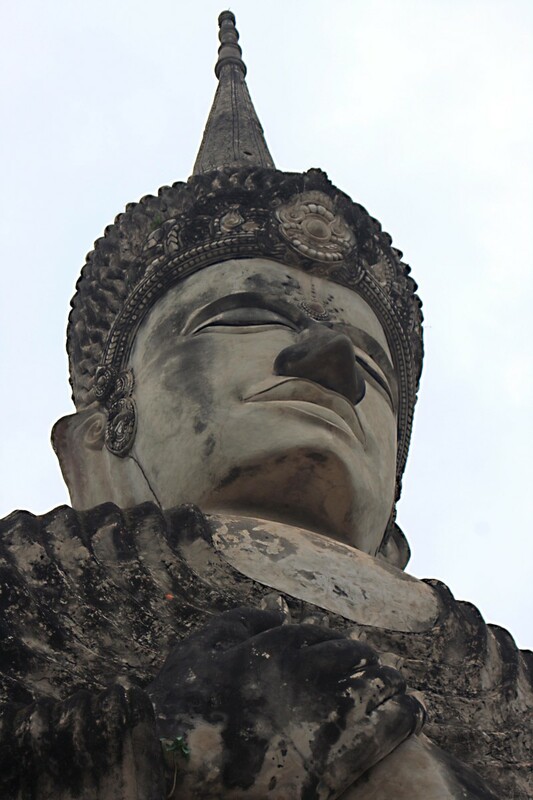 The Buddhists are known for their sincerity and truthful and the followers of both religions live in complete harmony. The monks who shave their heads are celibate Gyolang, while those who do not shave the head are called non-celibate Durpu. The most important Hindus deities are Durga or Chandi, Bhairon, Usha or Ukha, Badrinath, Bhimakali, Gauri Shankar, Kansa, Narayan, and Vishnu but Lord Shiva reigns supreme. The inhabitants of middle Kinnaur share common beliefs. The Hindu gods and Buddhist deities are worshiped side by side in the temples and monasteries in Middle and lower Kinnaur. The people of upper Kinnaur in Pooh area are mostly Tibetan Buddhist with Hindu influences, but the people of Hangrang valley are purely Buddhists. Every village has a monastery with monks belonging to the Rajput Kanet community. 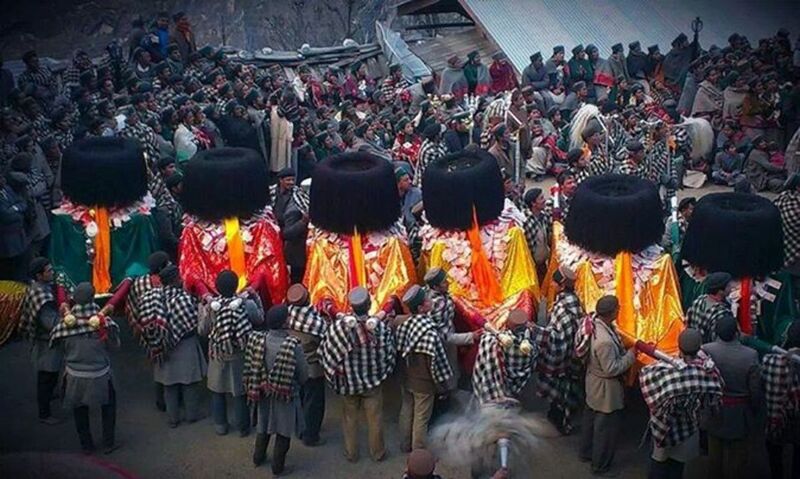 The popular Bon deity known as Dabla is greatly revered by the people of Kinnaur. 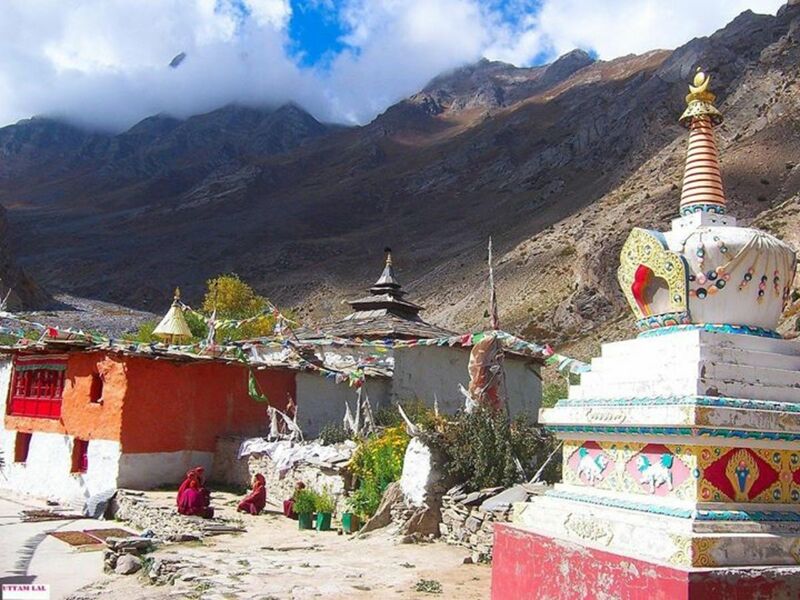 At Kanam monastery the image of Dabla is installed along with those of Buddha and Guru Rinpoche or Padmasambhava and is considered as a local god in the village. The superstitions about ghosts like Banchir, Rakshas, and Khunkch also reign supreme in the psyche of the people. 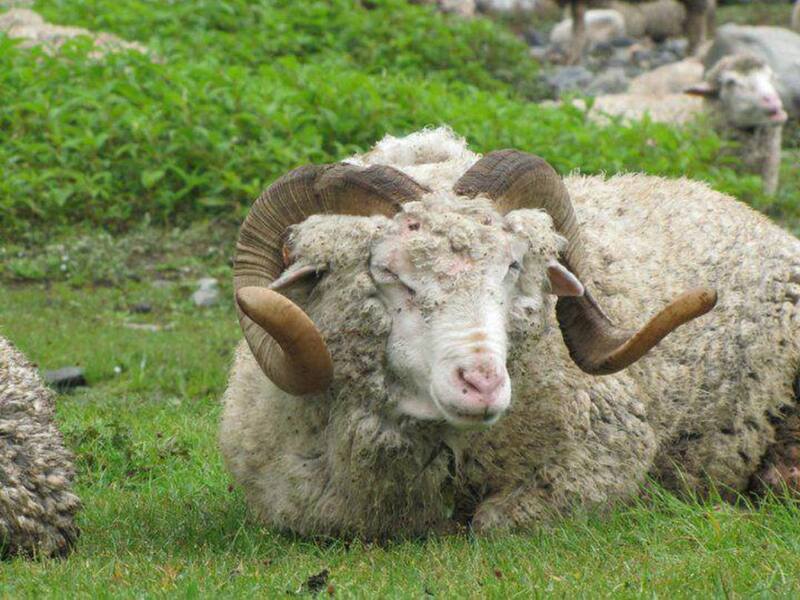 Ritualistic prayers and horns of domestic animals are used either to bring good luck or to ward off the evil spirits. The people celebrate the Dussehra festival with great fervor and the famous festival of flowers called Fulaich is celebrated every year in the month of August-September. 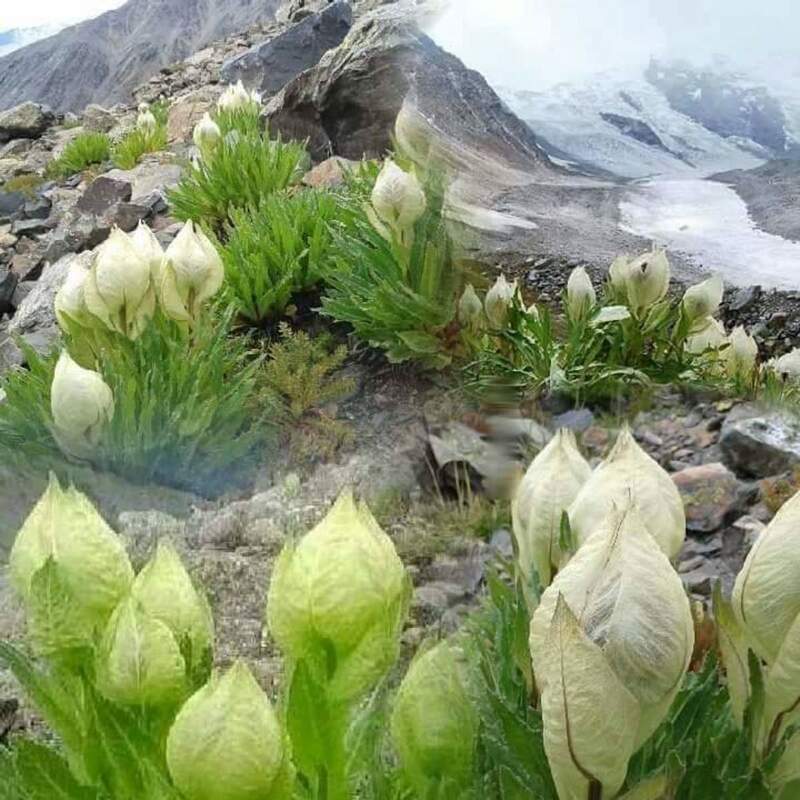 Due to the variations in altitude, climate, and landscape, a wide assortment of rare and exquisite flora and fauna of Himalayas are found in Kinnaur. The vegetation of this land nestled in the high Himalayan region is sparse and consists of hardy grasses only. But in Middle Kinnaur at 11,500 to 16,000 feet, the alpine species like juniper, pine, fir, cypress and rhododendron are found. 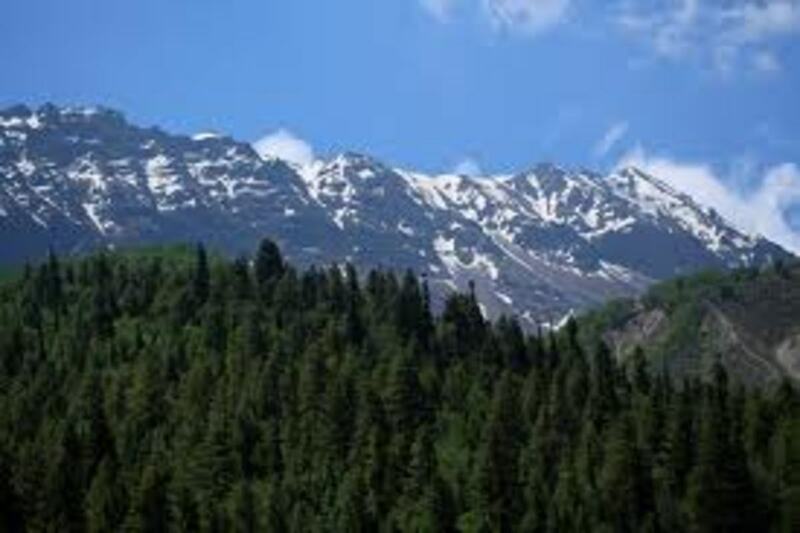 On the other hand, the trees of temperate climate like oak, deodar, chestnut, blue pine, maple, birch, alder, magnolia, apple, and apricot are found in plenty in lower Kinnaur up to 11,500 feet above sea level. The unique geographical conditions have made the region a home of numerous species of tiny and colorful birds. 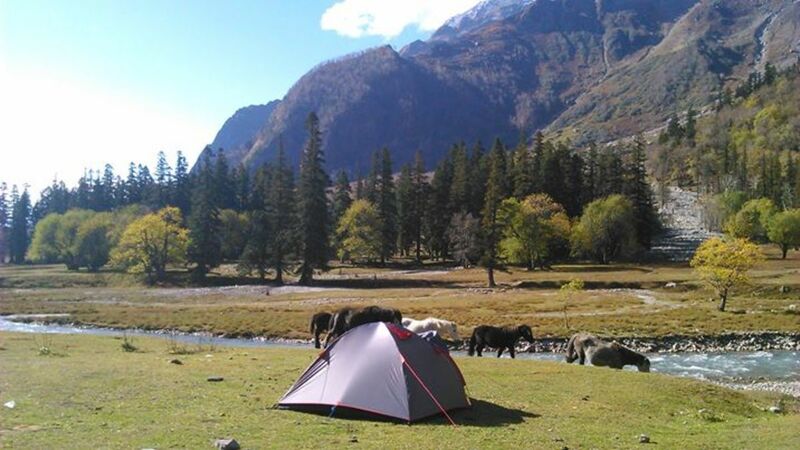 The scattered animals like the Himalayan black bear and small ponies are found in the region. 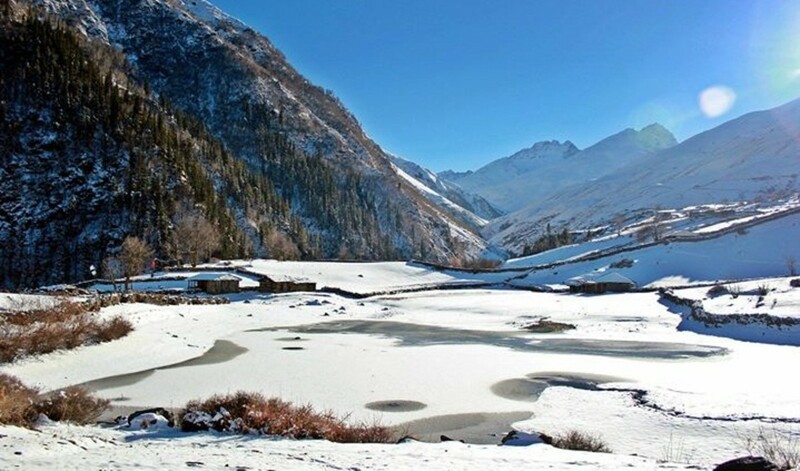 It is because of environmental, geomorphological and ecological reasons that three wildlife sanctuaries are created in Kinnaur. The animals like Yaks and dzos are reared by the people in higher ranges. The Choling structure within the temple campus is the resting place of the deity during day time or in festivals. The traditional dance Kayang is performed around it. The main entrances in the temples have a place called Prool where the devotees check the dress code before entering the temple. The dress code includes cap, coat and a band around the waist. During summer the deity from one village visits the deity of another village or the people invite the deity at their homes. 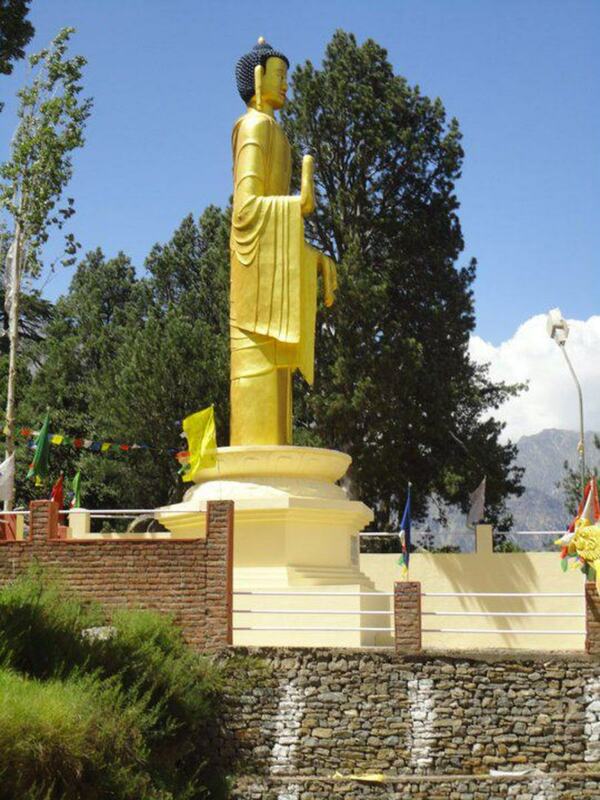 The statue of Buddha at Reckong Peo. 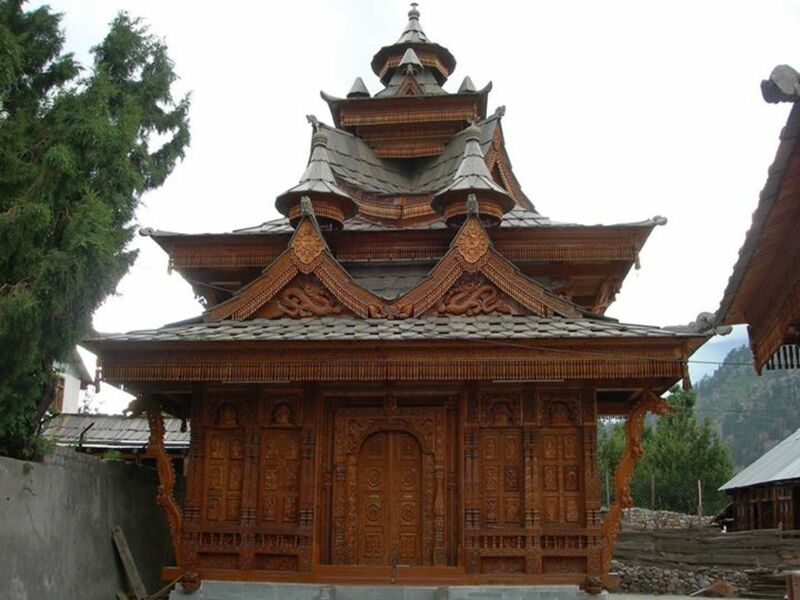 Temple at Sungra village with unique feature wooden roof like several temples in Kinnaur. 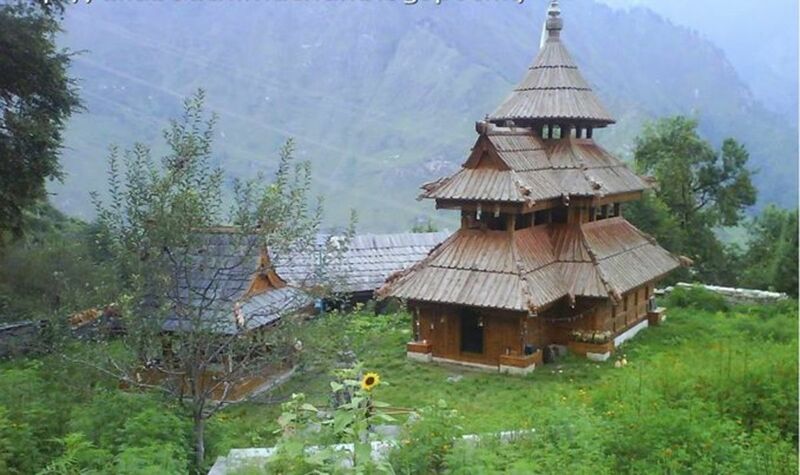 These temples have borne the brunt of hostile weathers for hundreds of years without any seepage problem. 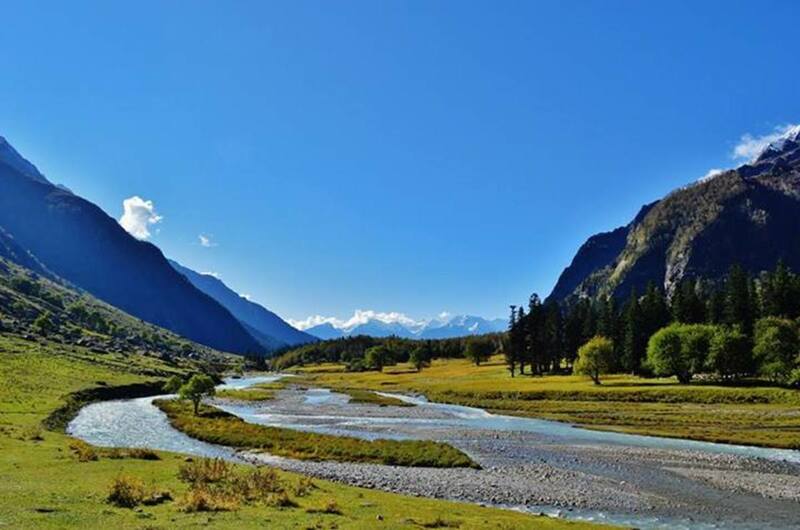 The most enchanting meadows, beautiful sights, captivating lakes, elevated landscapes and lush green pastures in the valleys of Kinnaur add to the charm and mystery of the land. 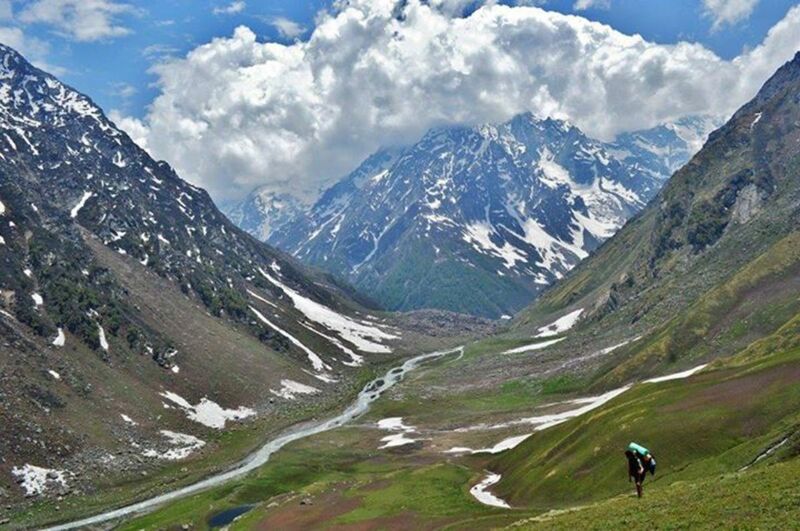 These beautiful slopes on high terrains provide ample scope for adventure sports, as several passes connect the valleys through legendary, mysterious, challenging and revealing treks across different mountain ranges. The anglers can have a delight of trout fishing in the fresh waters of the rivers in the valley. 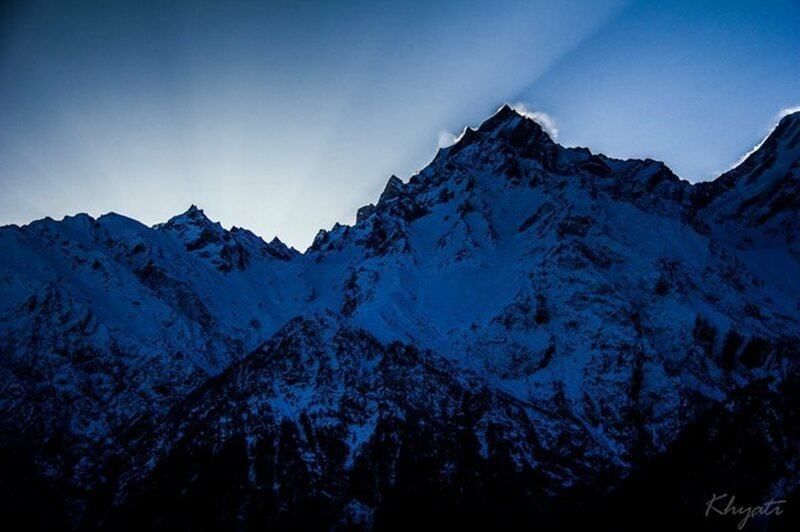 Besides the facilities of rock climbing in Kinnaur, the ski slopes are available at Kalpa. Ever since the ancient times, the people have walked through the dense forests, unknown passes and mountain ranges in search of grazing grounds, hunting, and livelihood. In reality, trekking is walking and there are several trekking routes in the region which provide recreation and physical fitness. Thousands of trekkers and pilgrims visit the place every year. 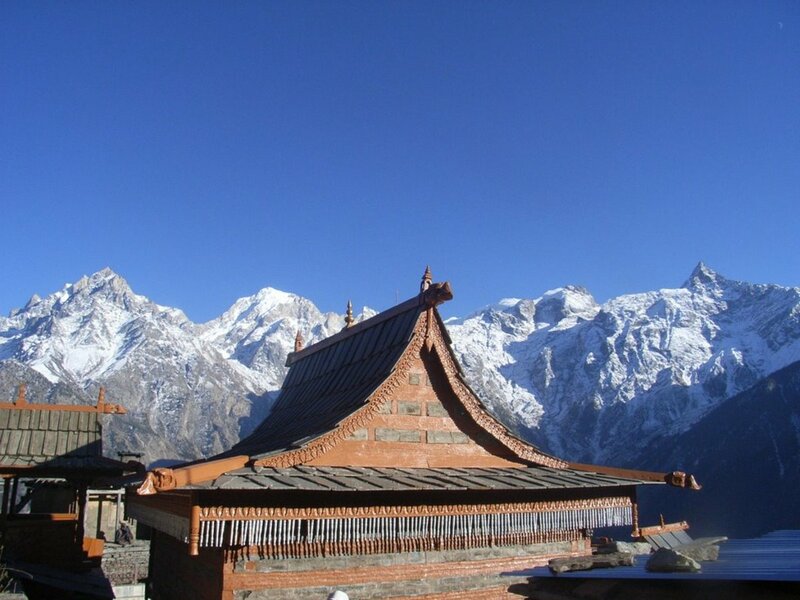 The places like Recong Peo, Kalpa, and the Sangla valley are visible from the mountain peak. Thanks, Shaloo Walia for the visit and the comment. I am glad you liked the article. Thanks Sahil for the visit and the comment. 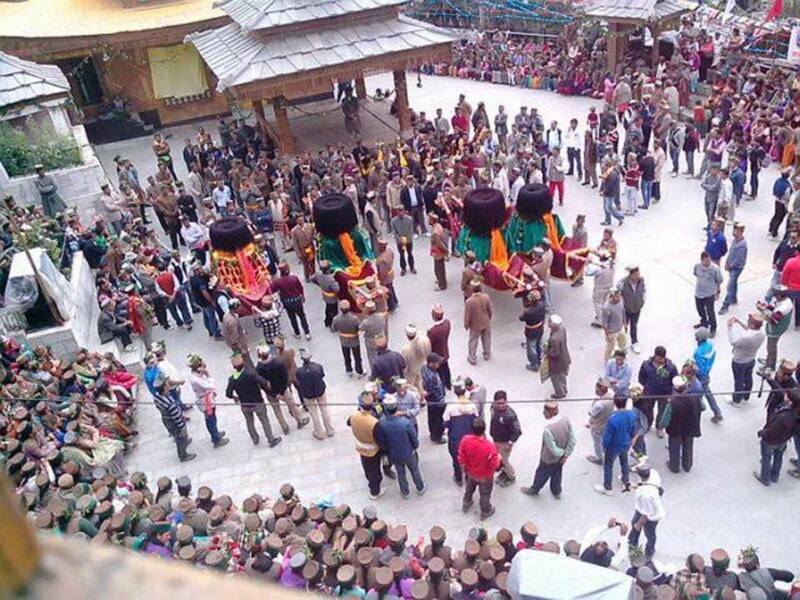 The people of the region still practice ancient traditions. Thanks Arun Kaul for the visit and the comment. 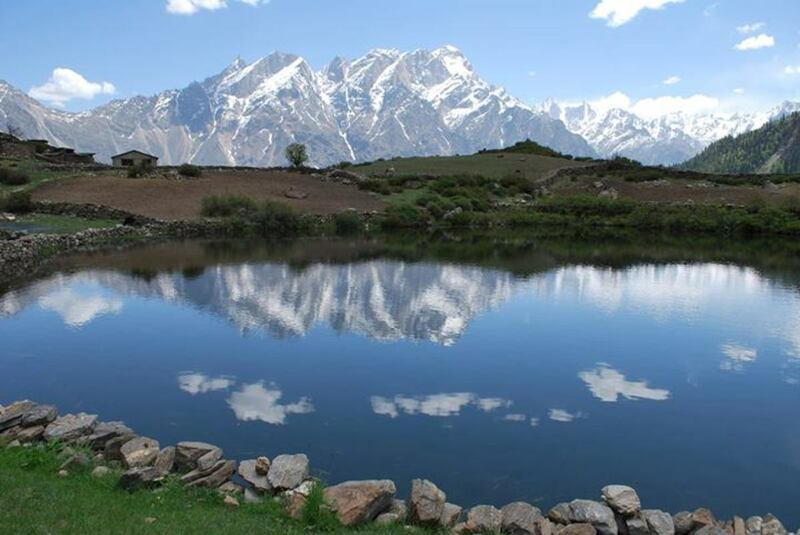 You are absolutely right the panorama of Kinnaur is breathtaking. An excellent article. 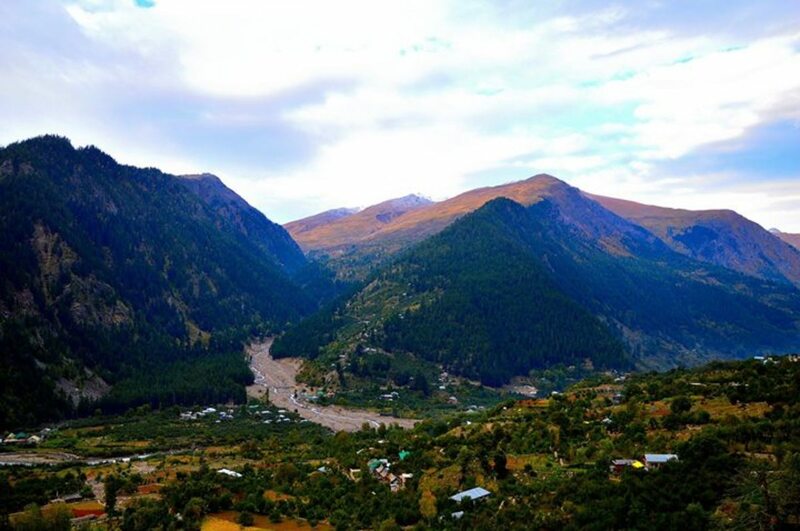 I travelled through Kinnaur between 17 - 21 September 2015 and views are simply breathtaking. Thanks Akriti Mattu for the visit and the comment. I love this part of our world for the purity and innocence of the people living there. Thanks mylindaelliott for the comment. The place is worth visiting. Thanks srsddn for the comment. Wonderful hub, the people and the area sound so interesting. It sounds like a lovely place to go to visit. sanjay, beautifully done. I have seen shawls and also the devtas in Kullu Dussehra festival. 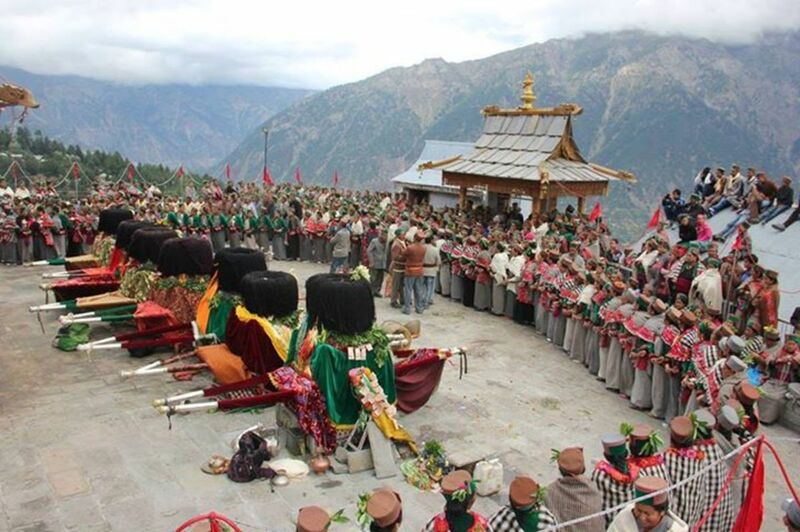 I wish I could have a trip to Kinnaur to see the tribes in action there. Voted up and beautiful!